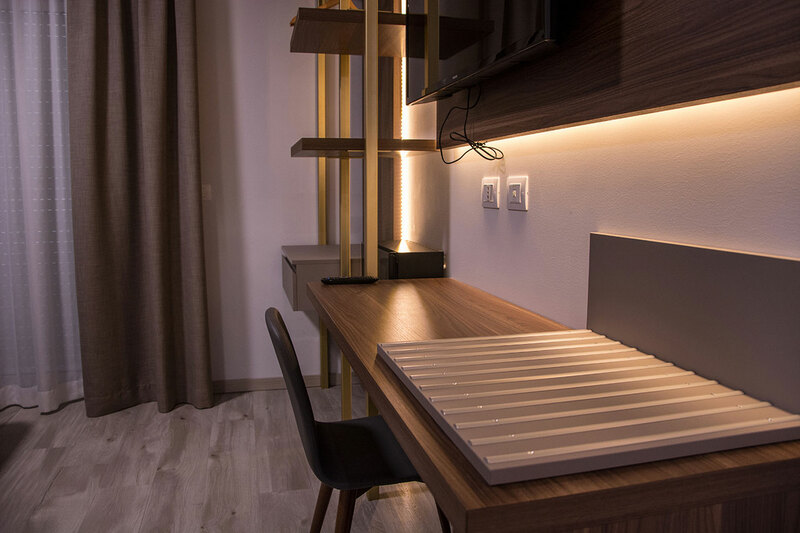 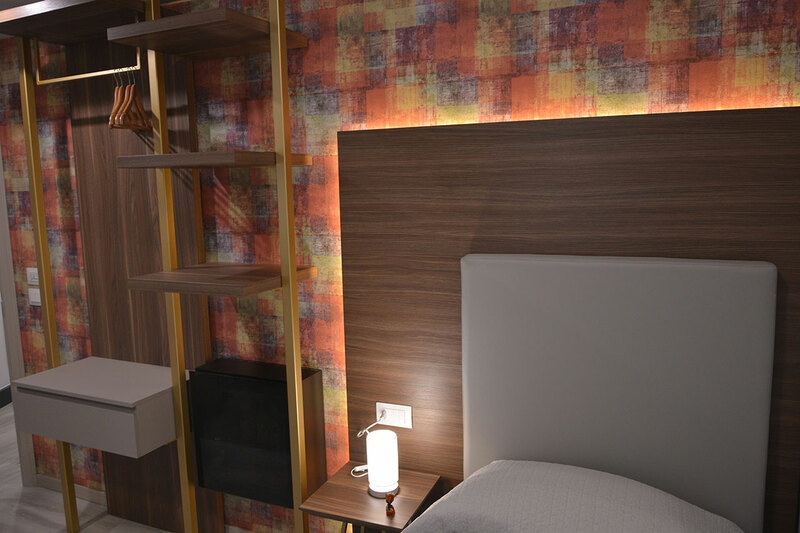 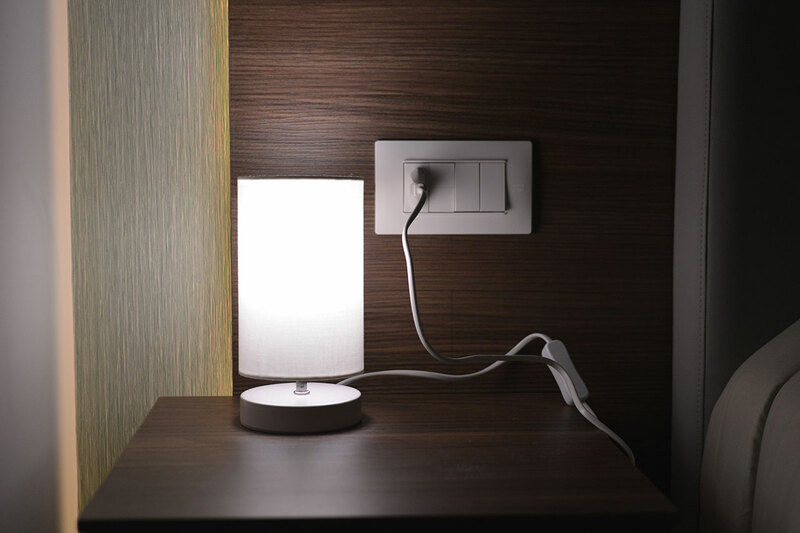 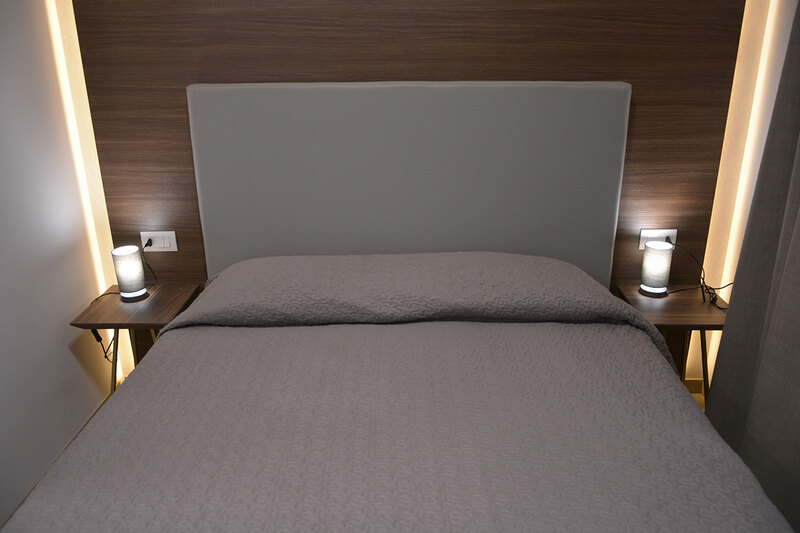 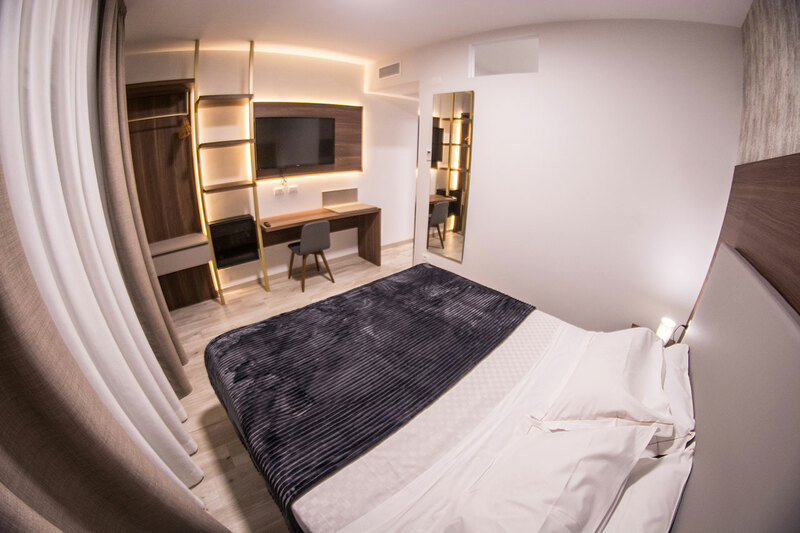 8 Room hotel is an eight-room hotel in two floor with cosy and refined rooms designed with linearity and natural tones. 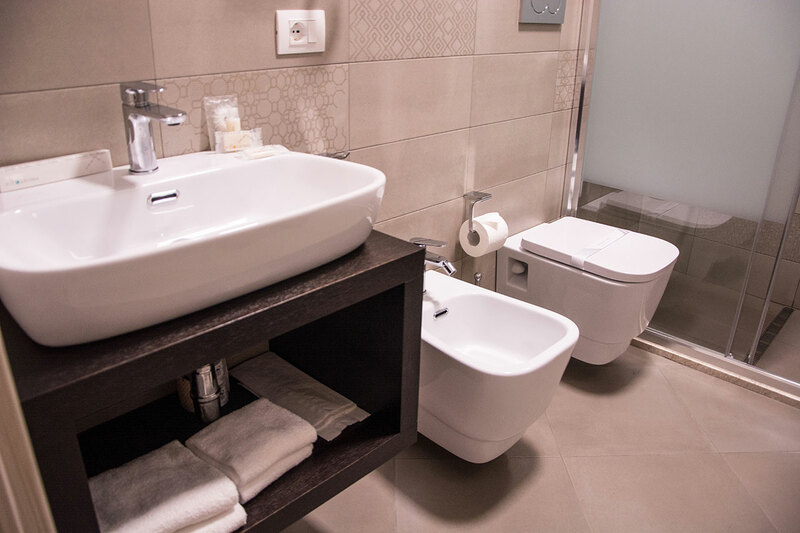 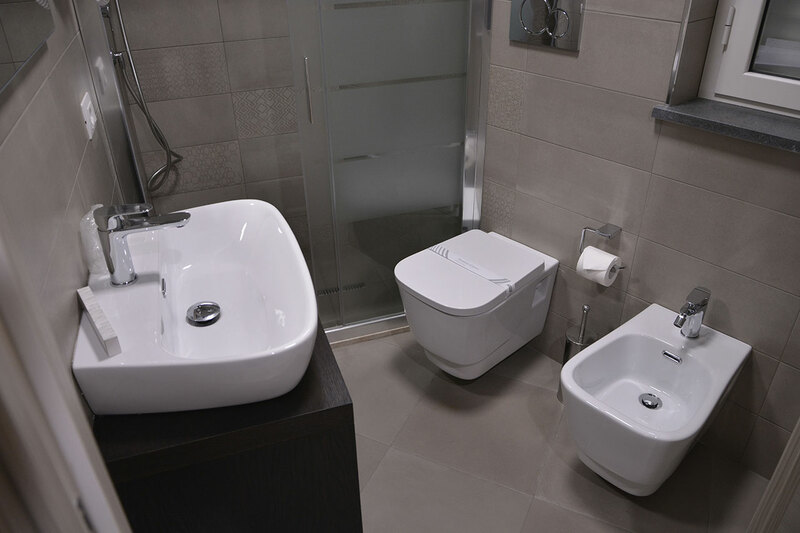 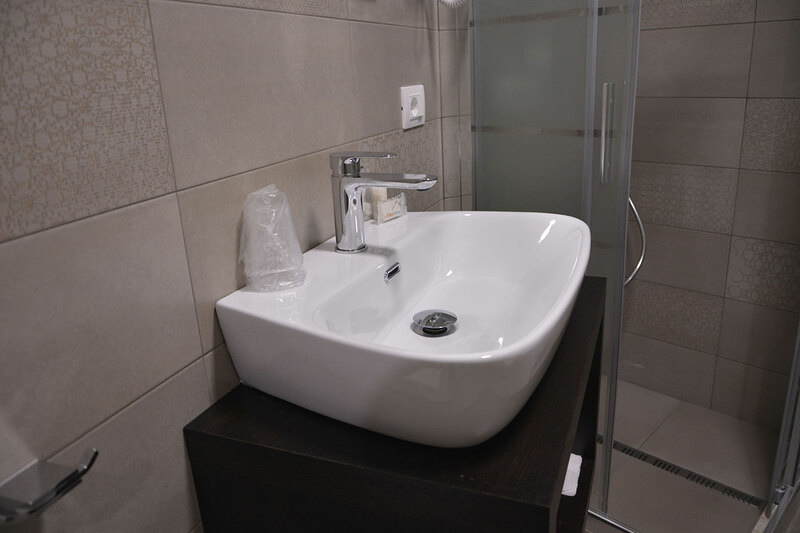 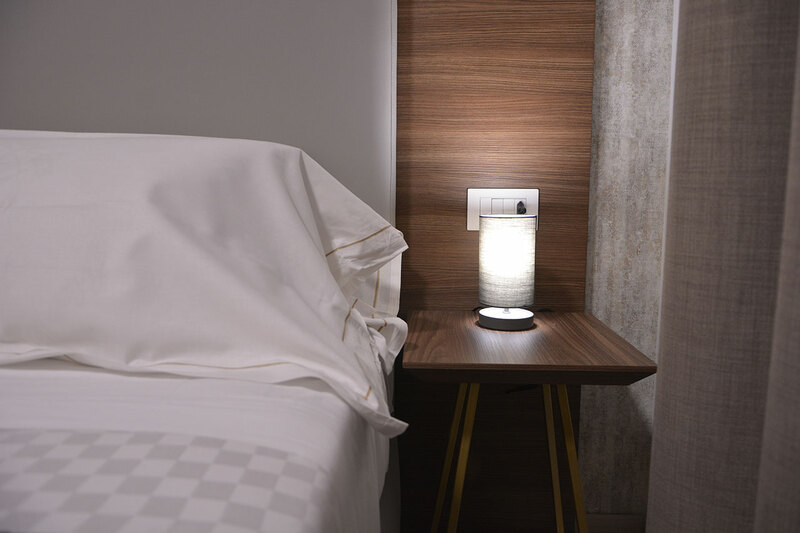 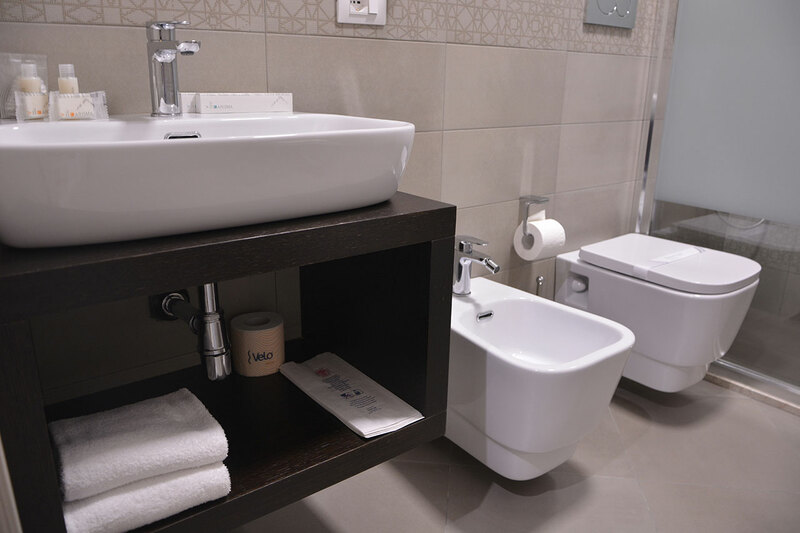 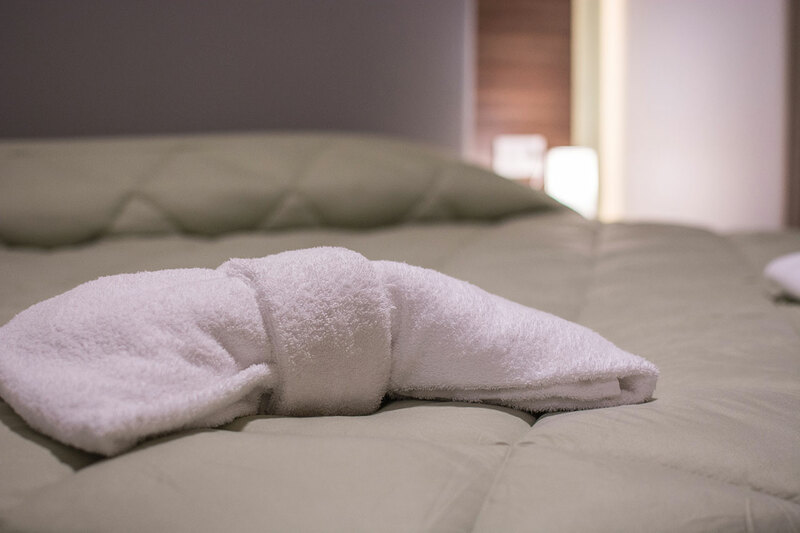 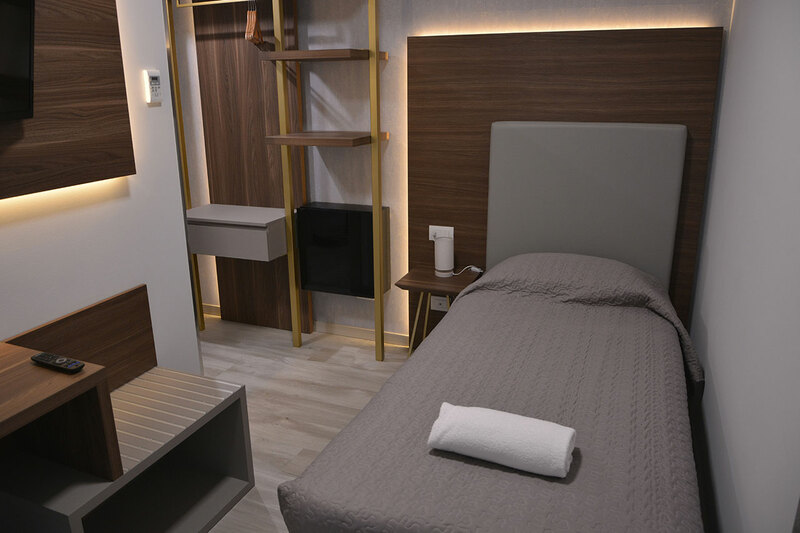 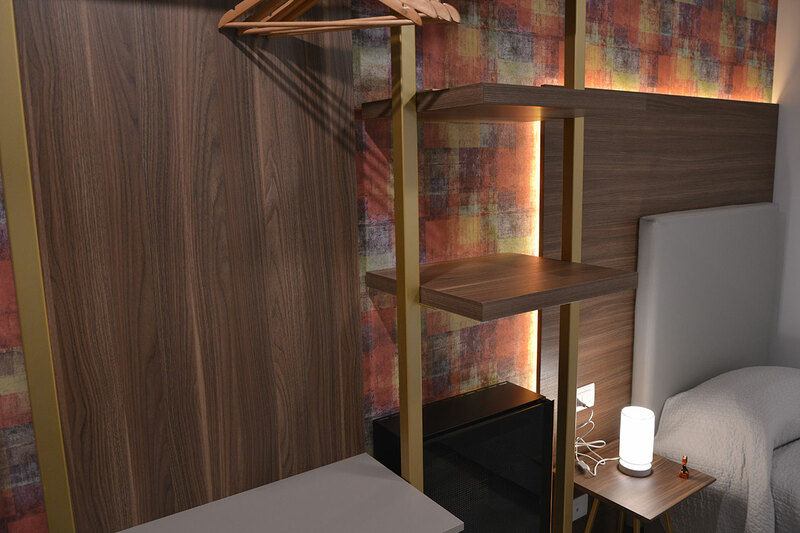 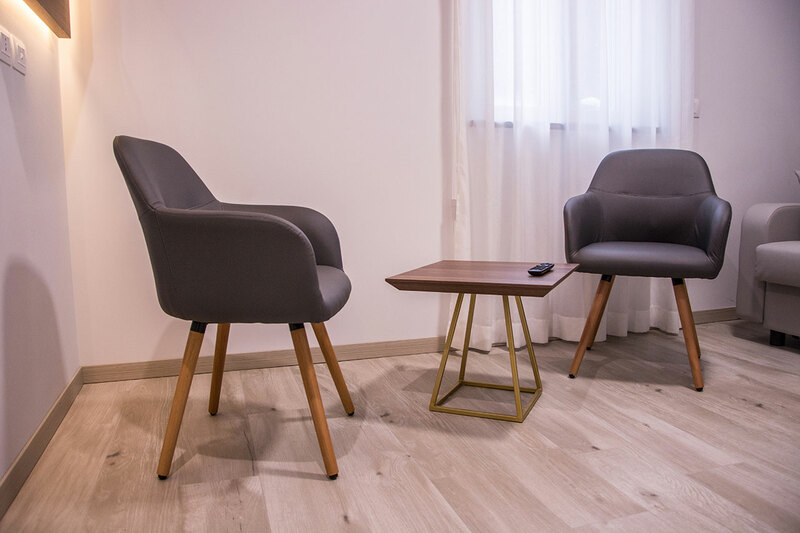 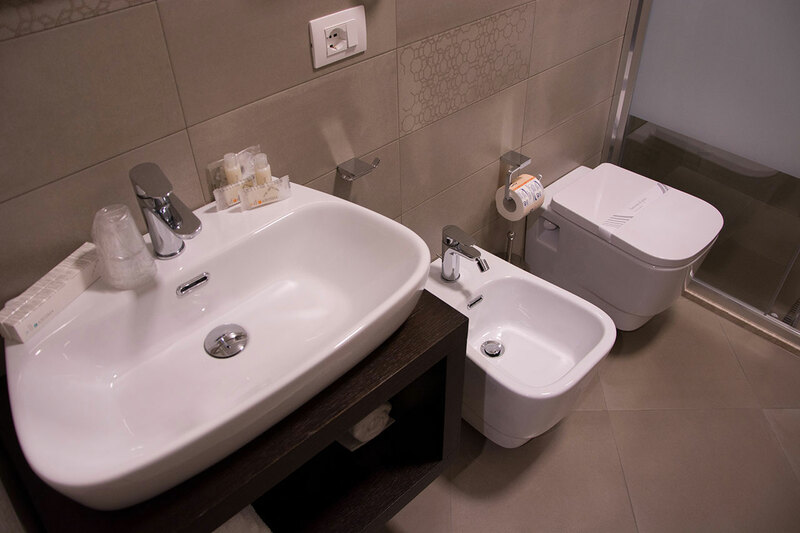 The handcrafted furnishings, the light fabrics, the minimal design in the ensuite bathrooms in combination with modern technology all comprise a place – to experience. 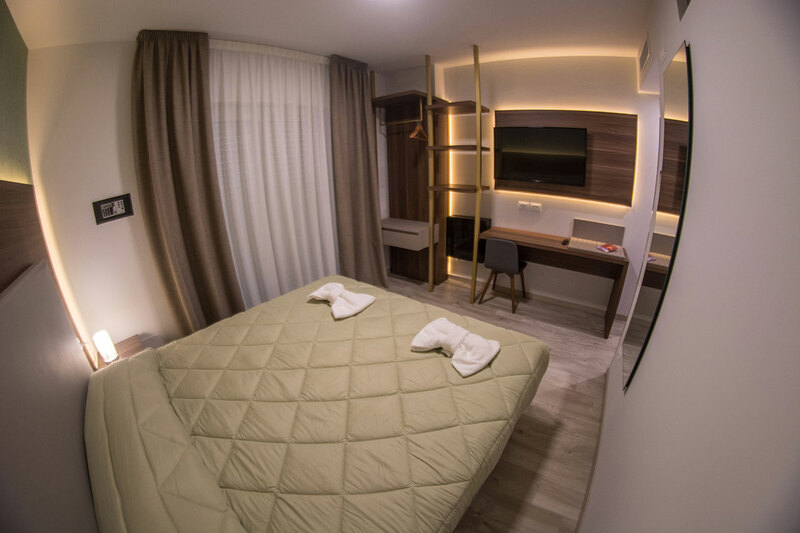 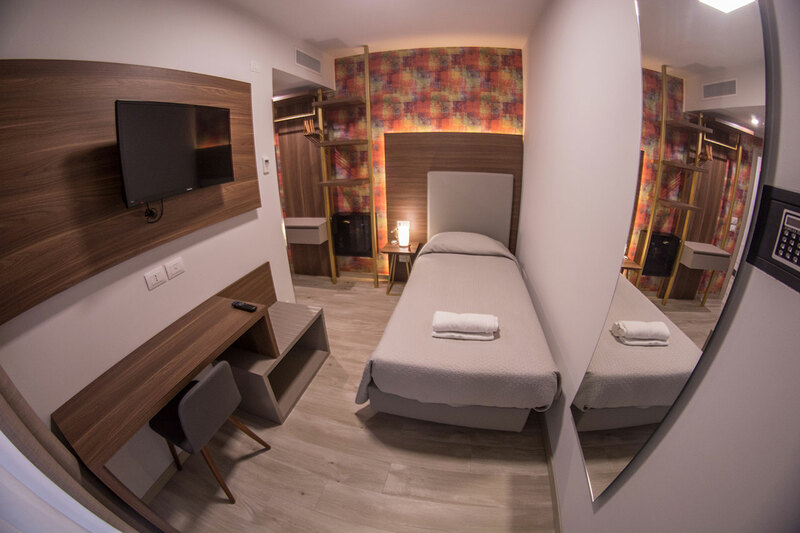 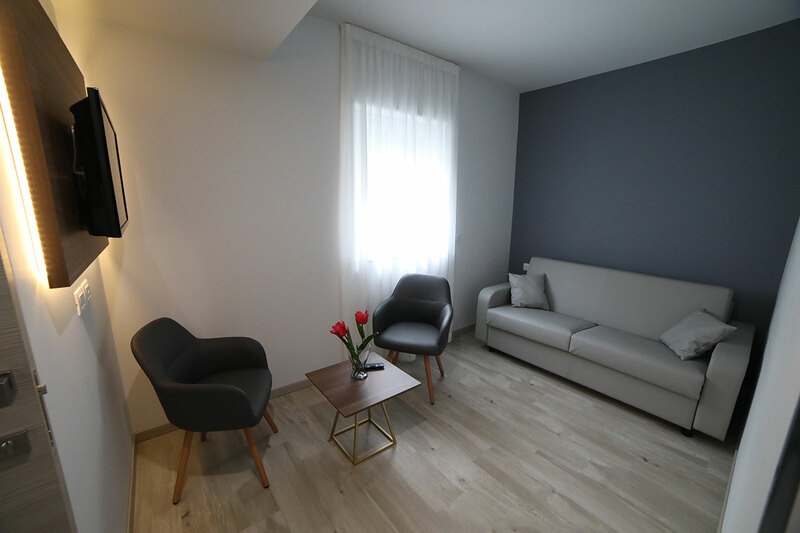 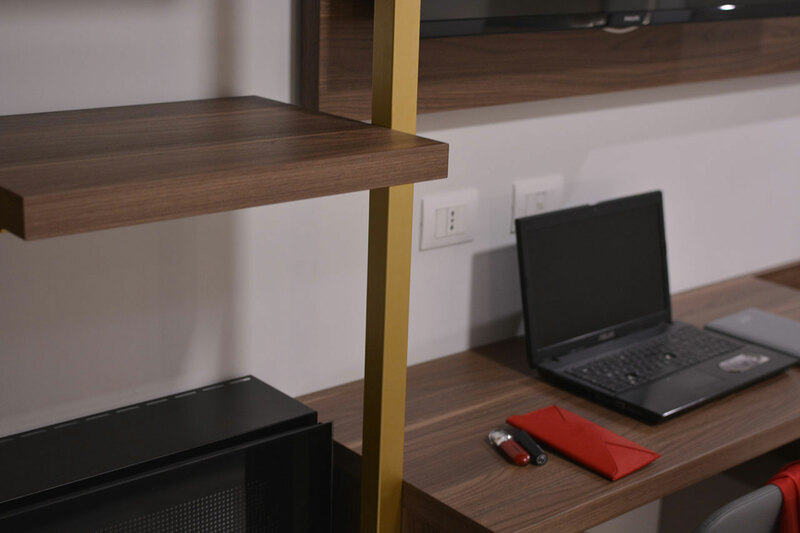 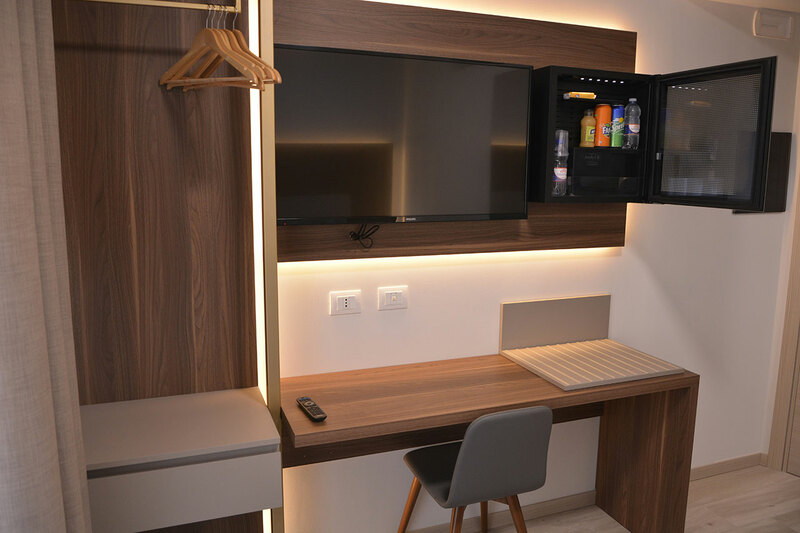 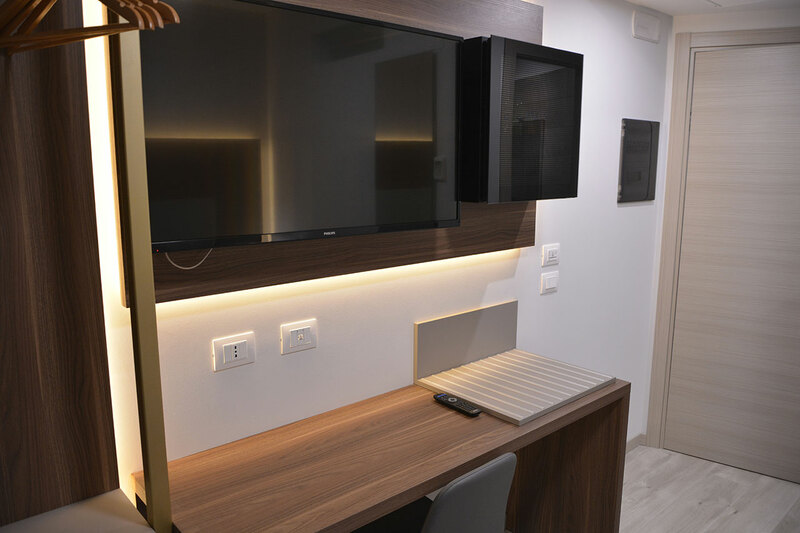 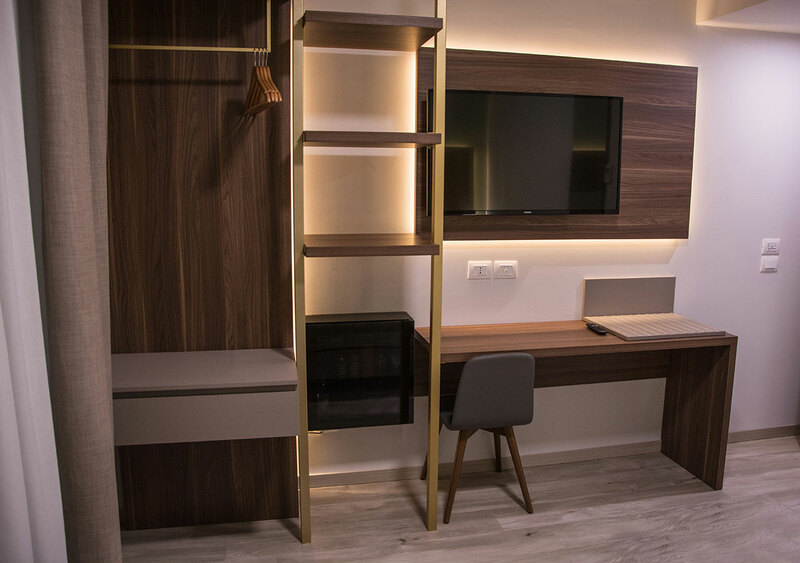 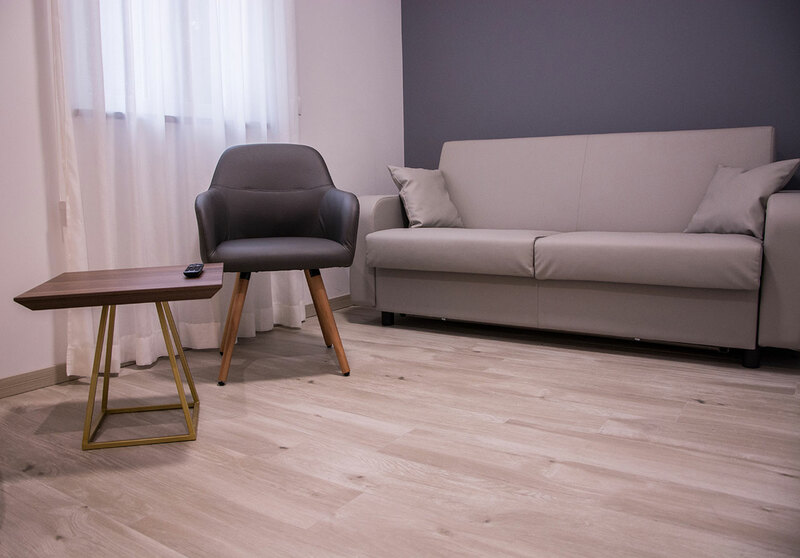 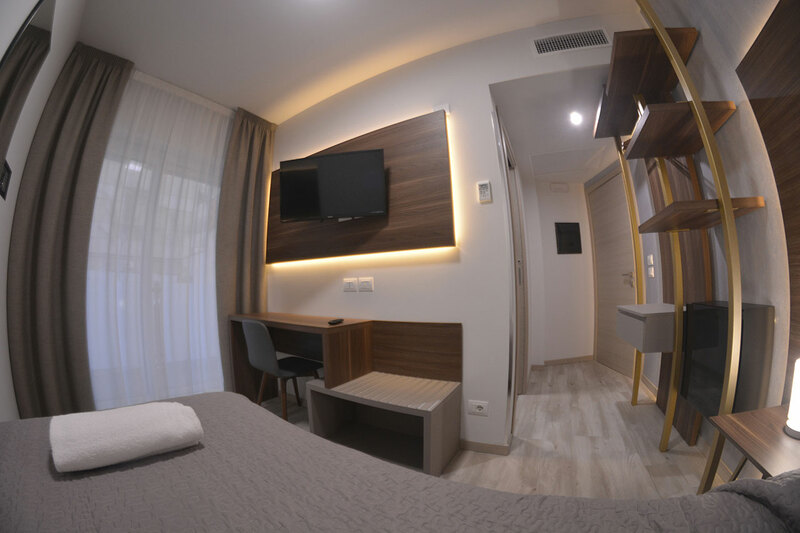 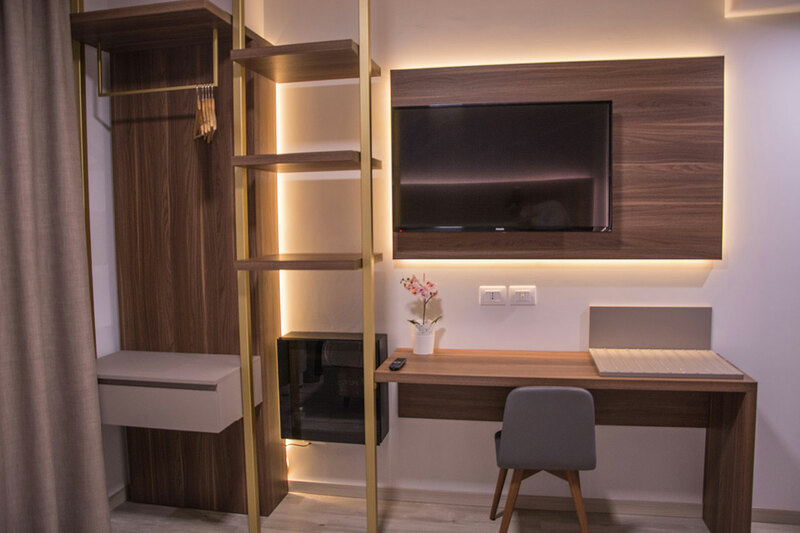 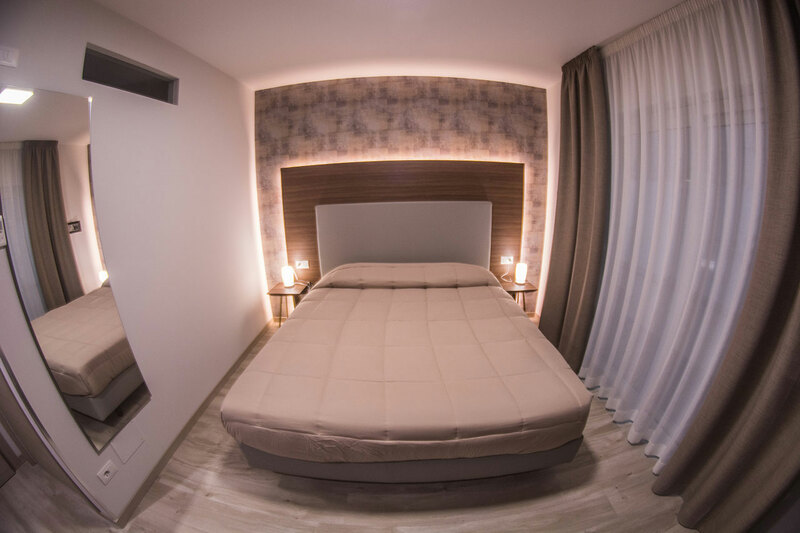 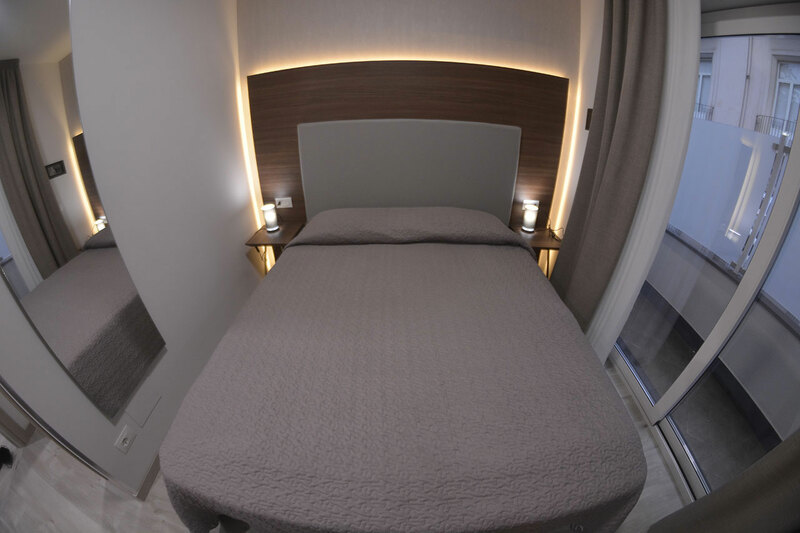 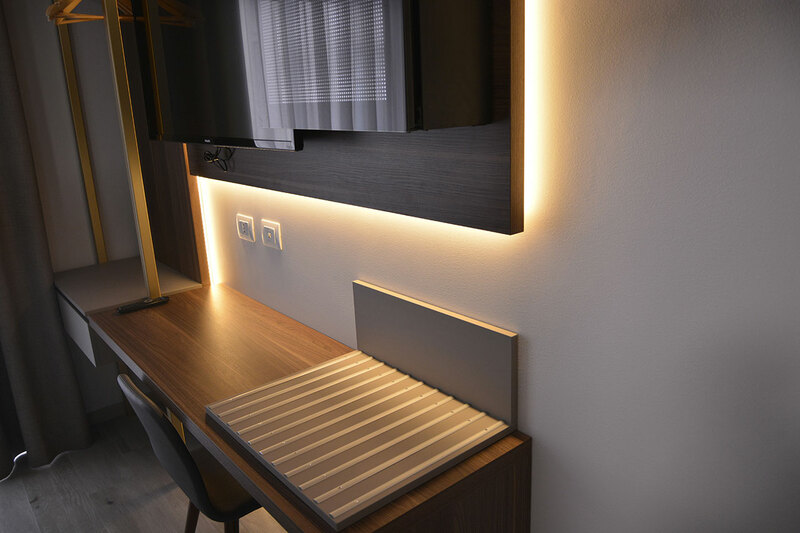 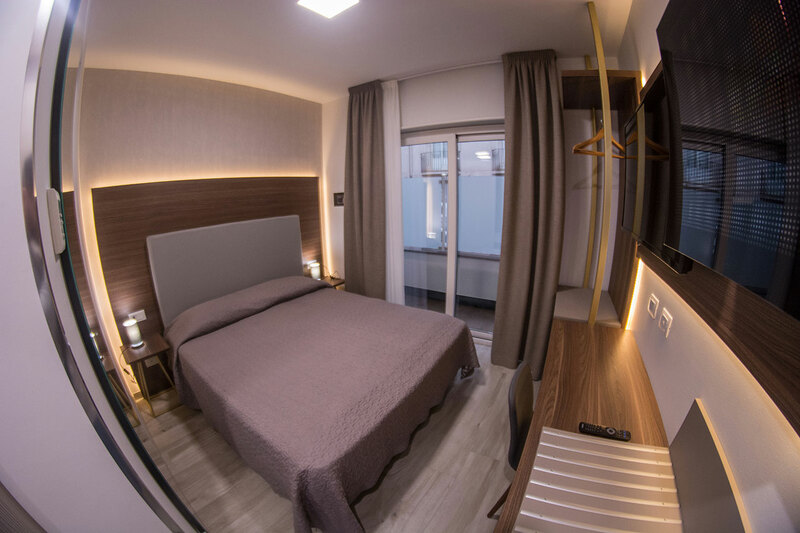 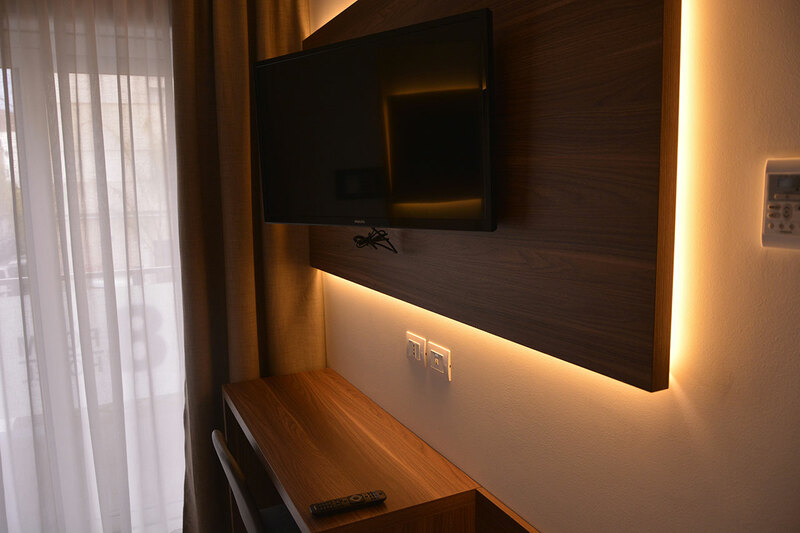 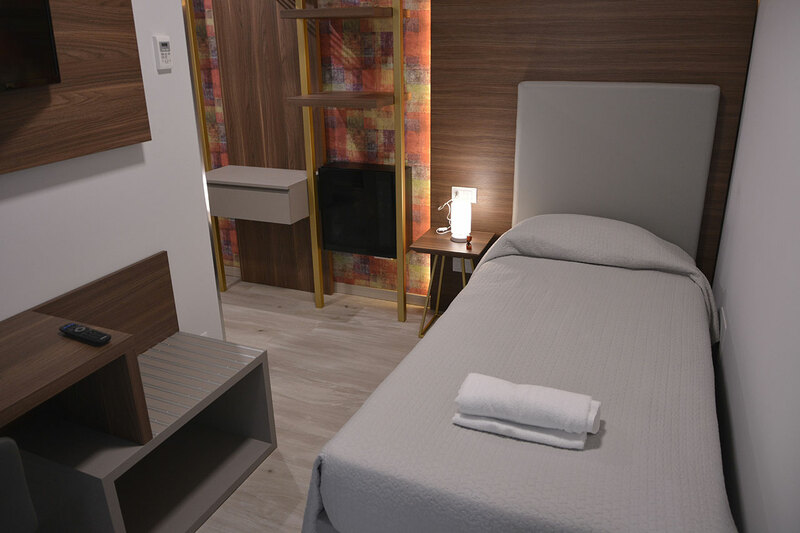 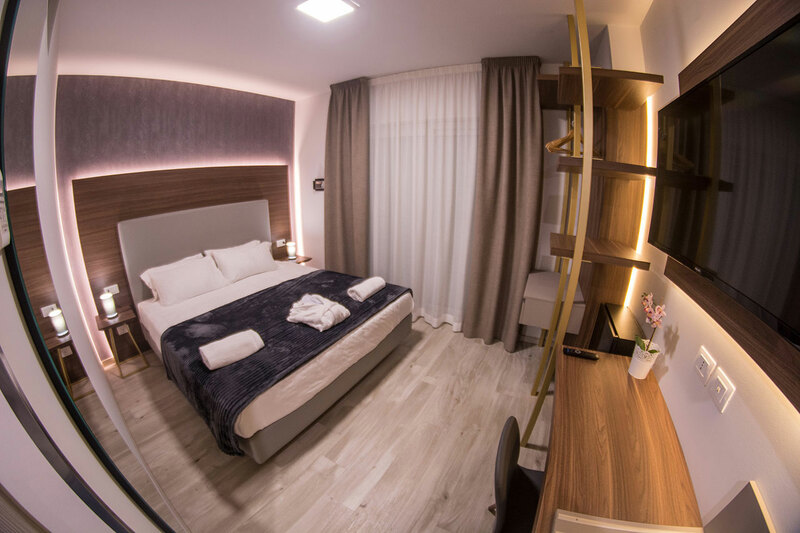 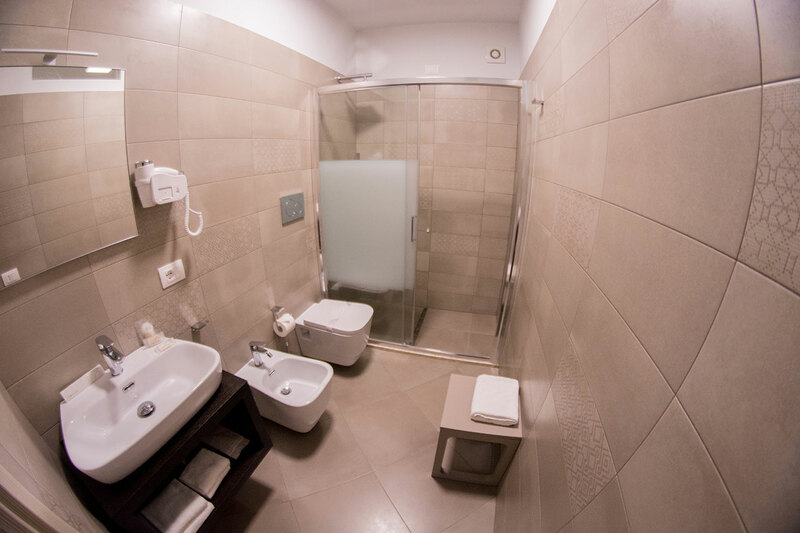 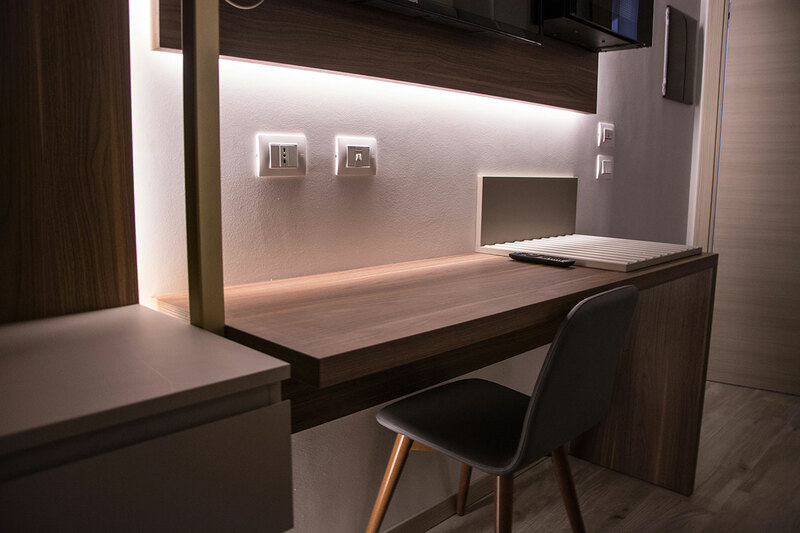 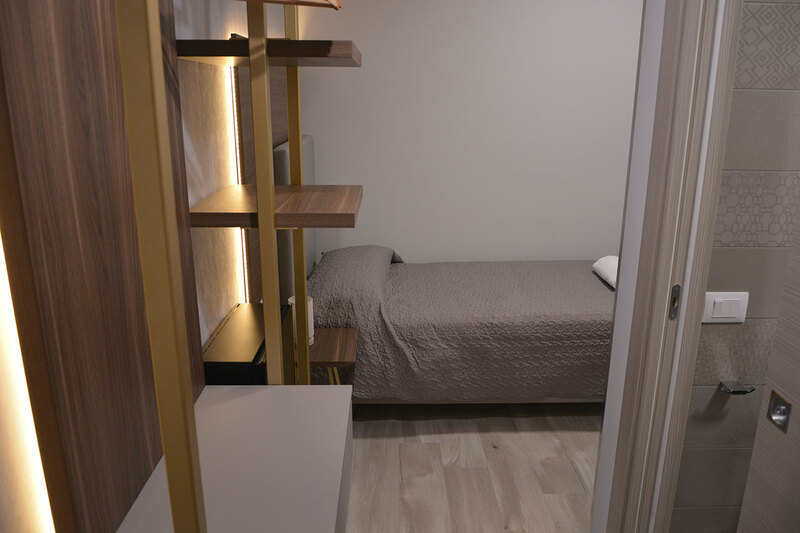 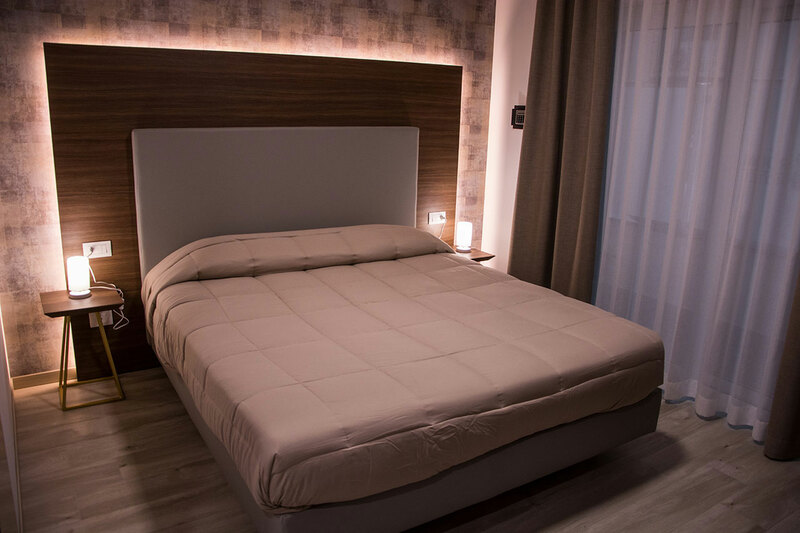 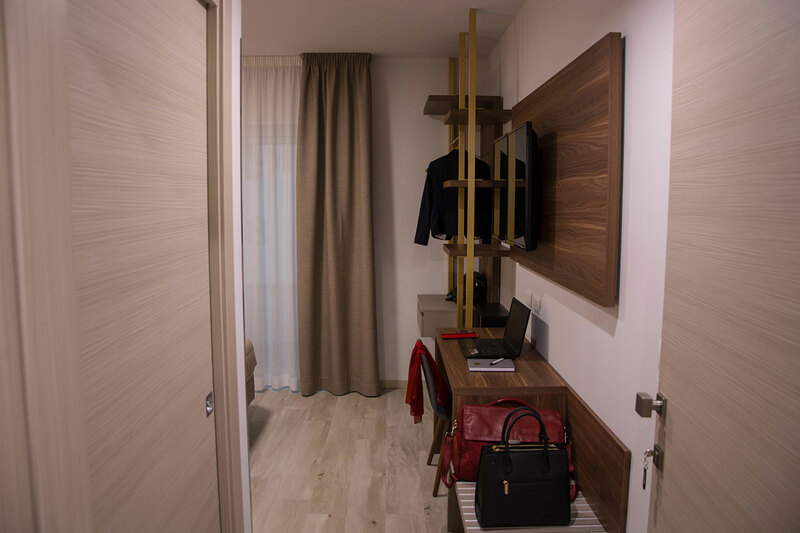 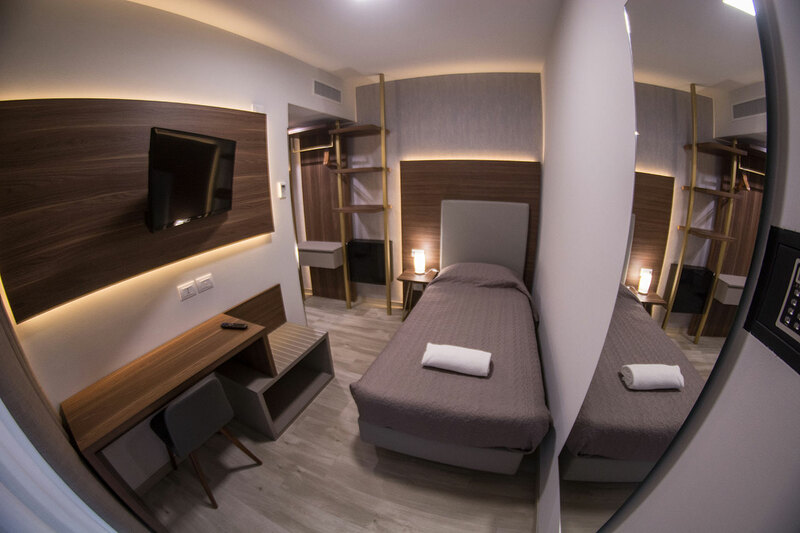 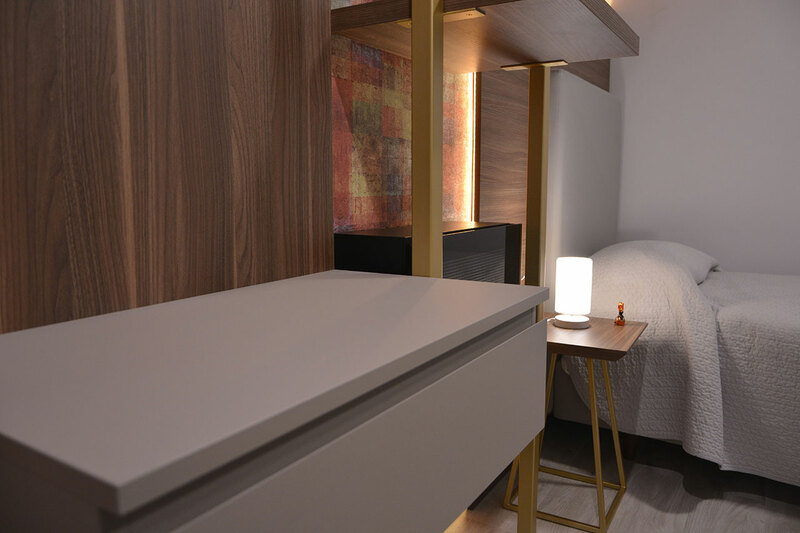 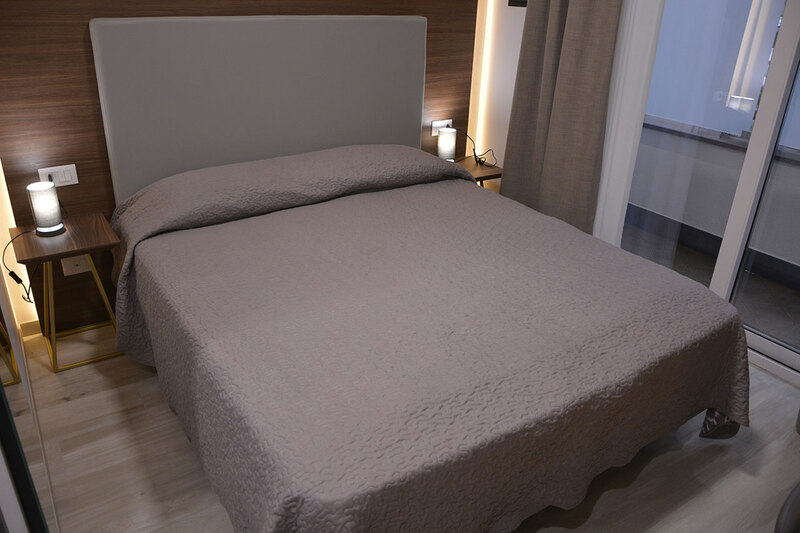 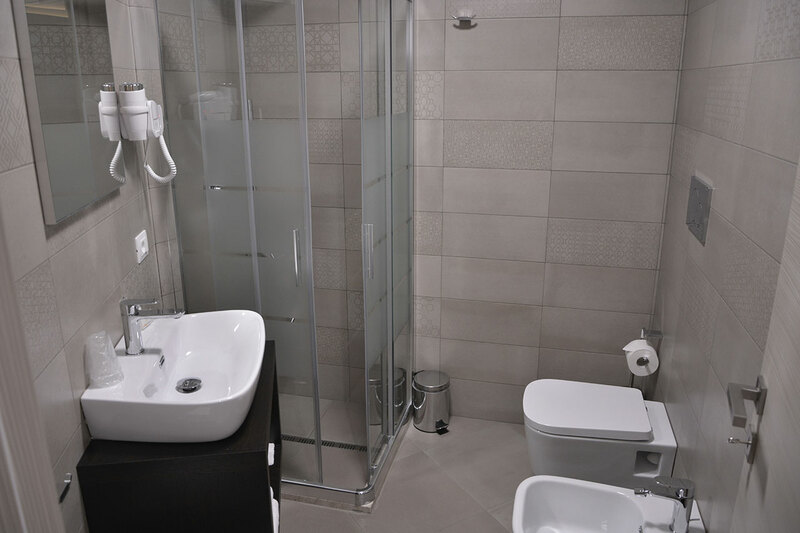 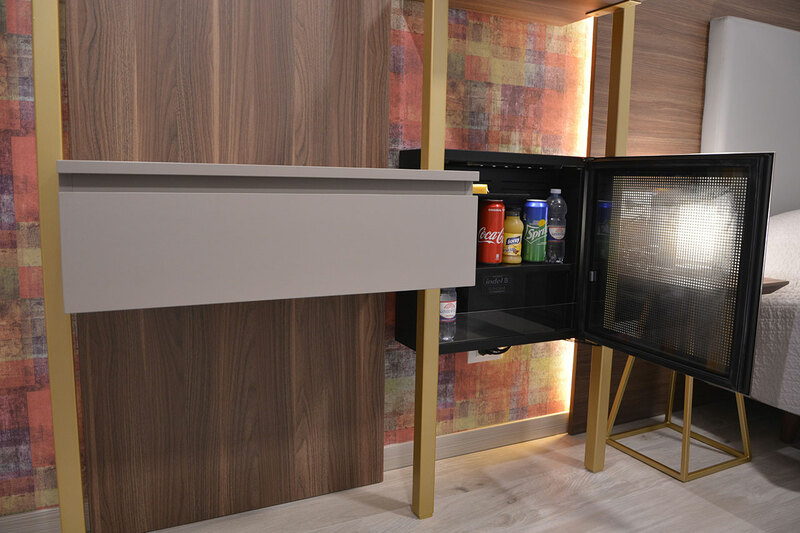 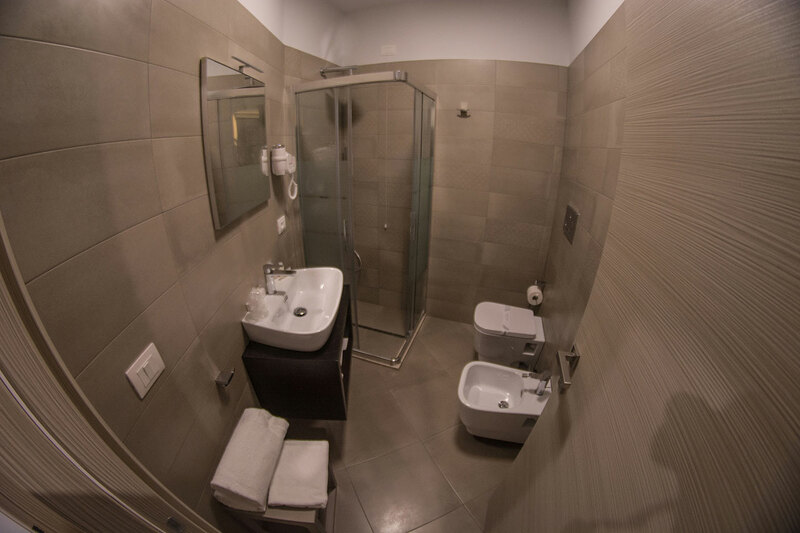 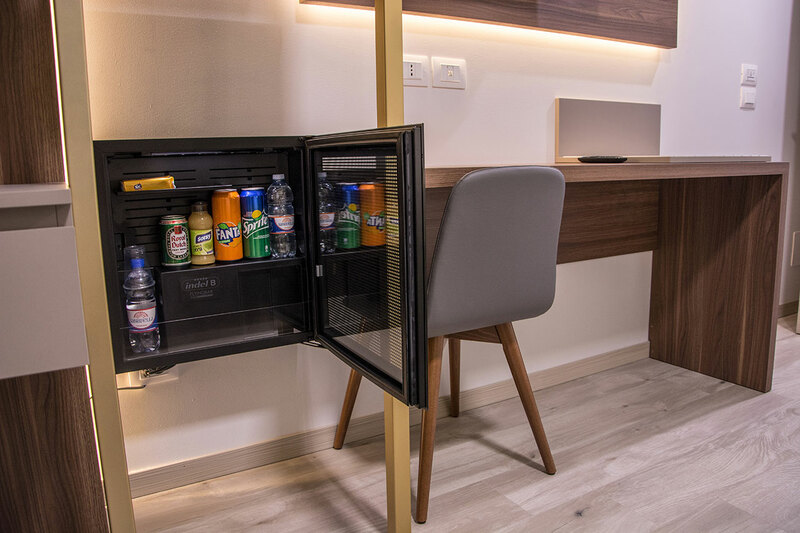 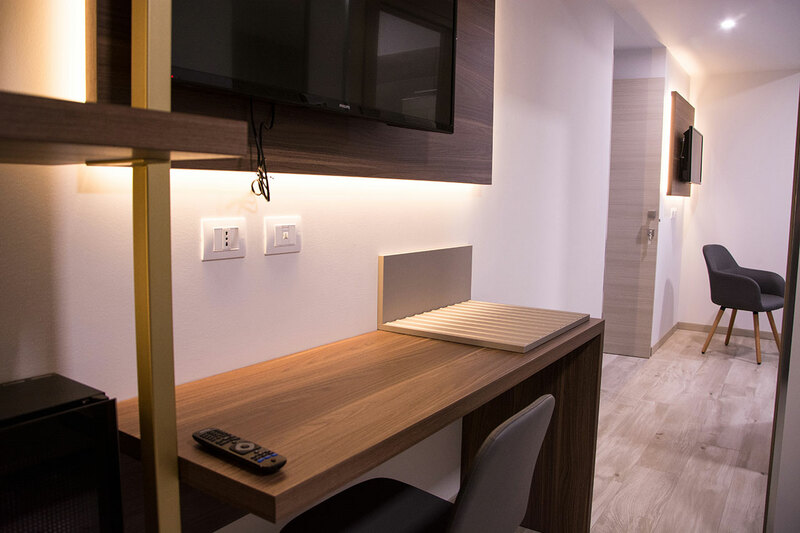 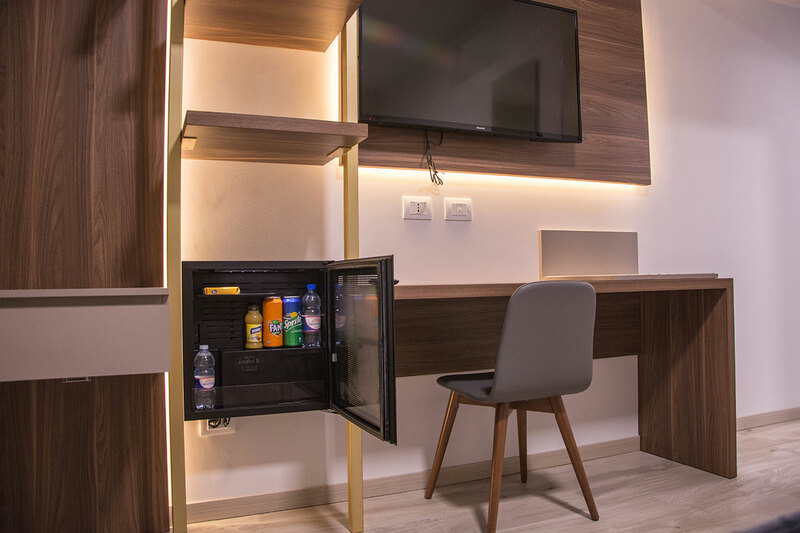 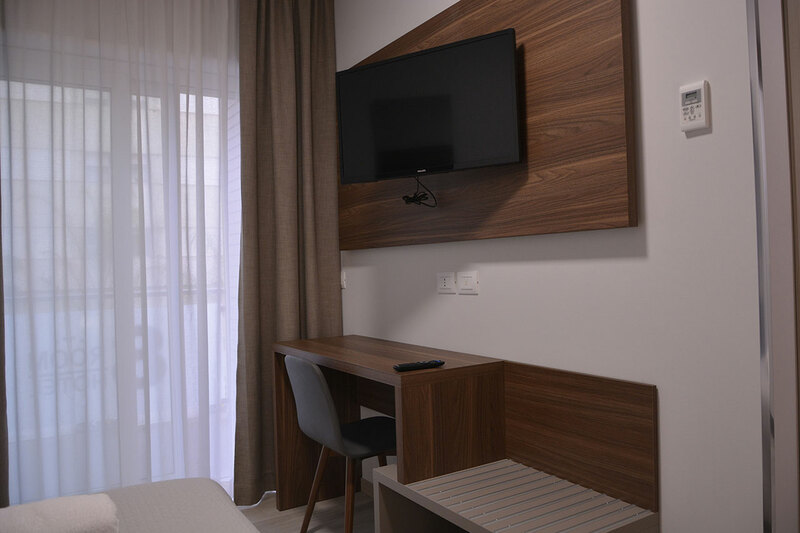 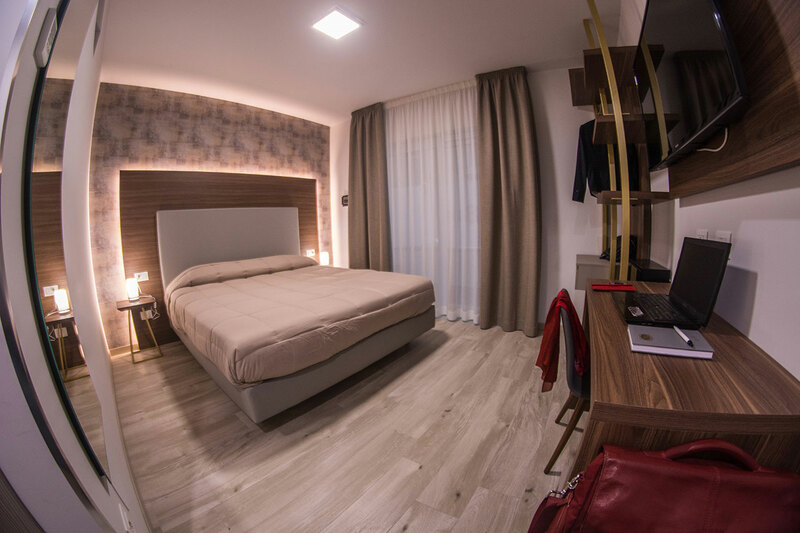 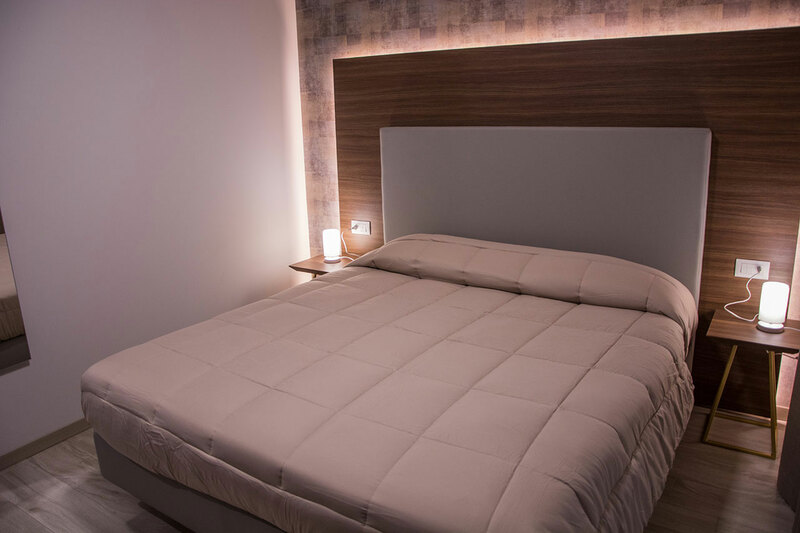 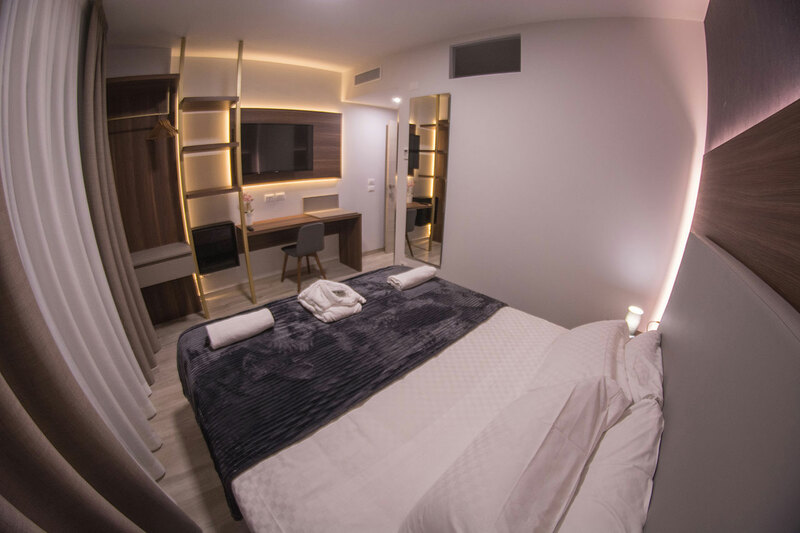 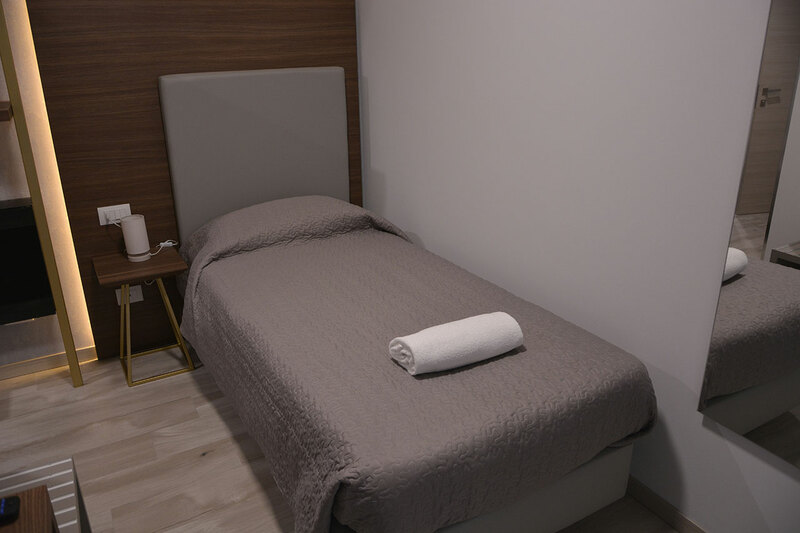 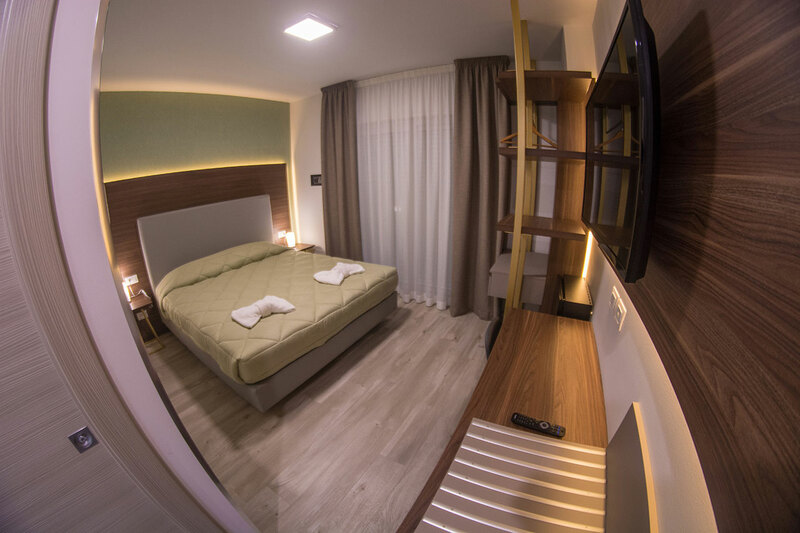 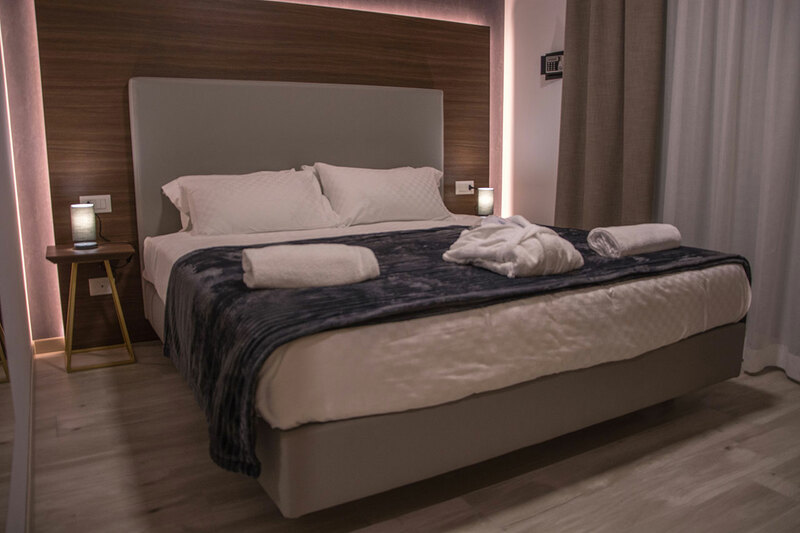 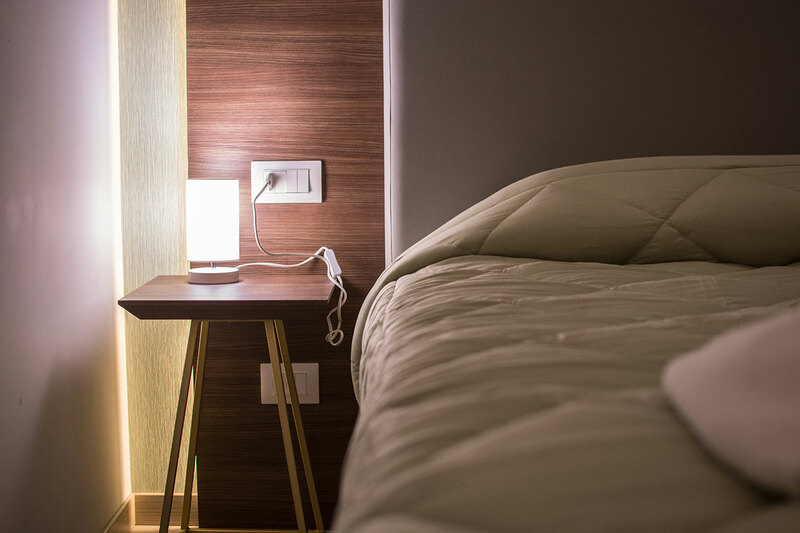 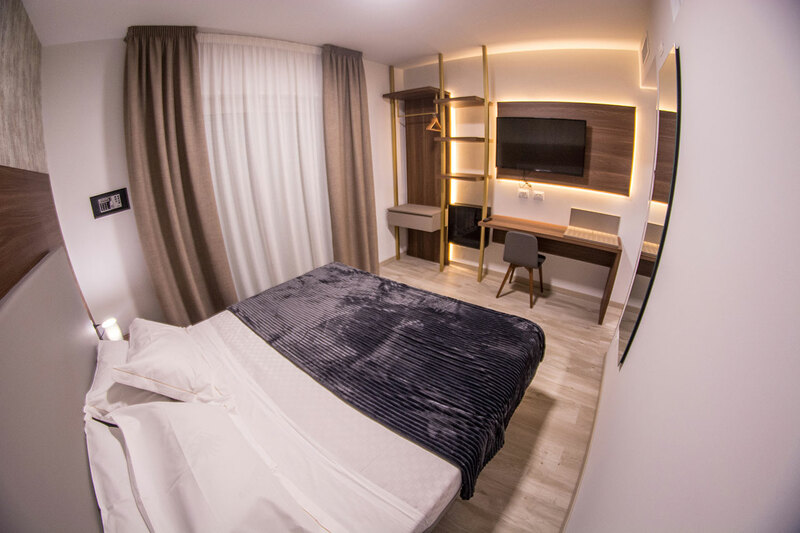 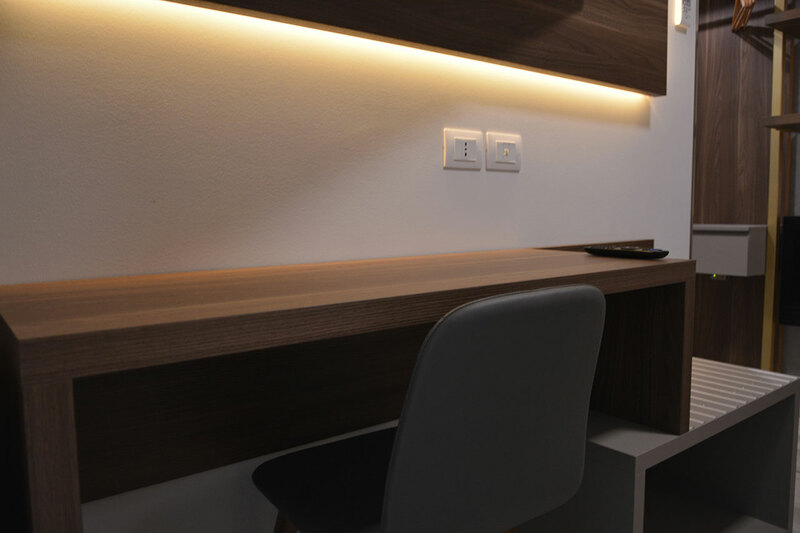 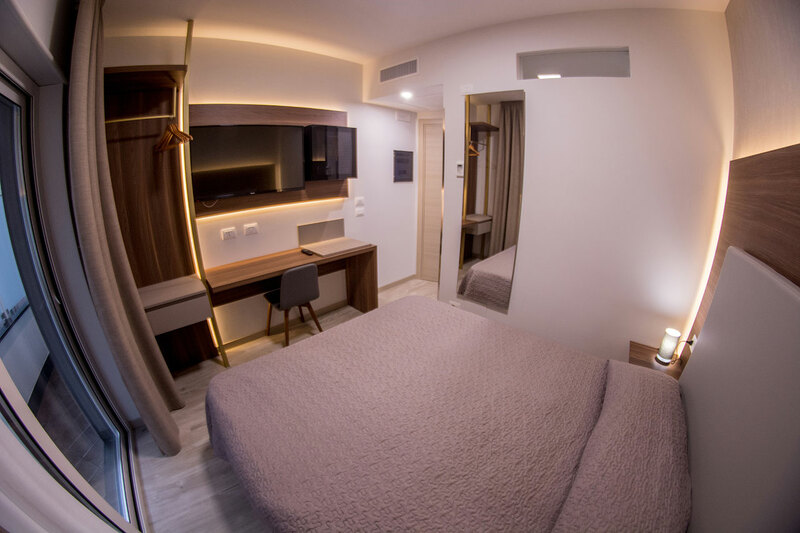 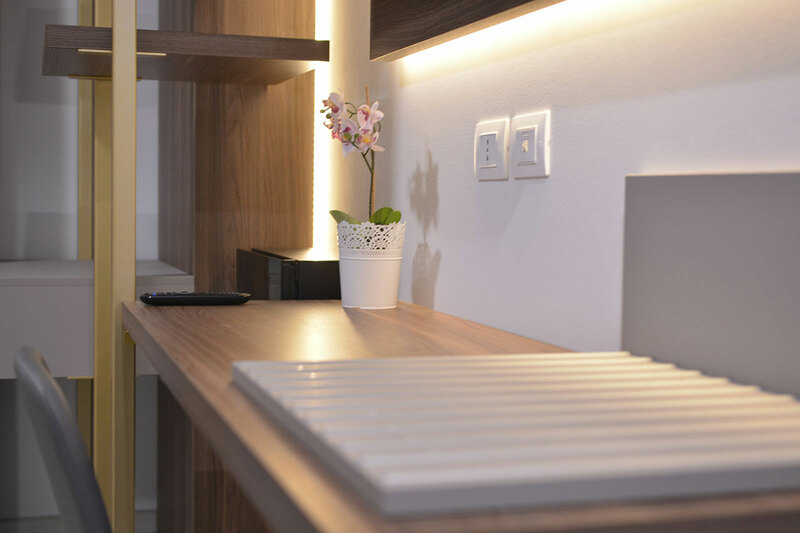 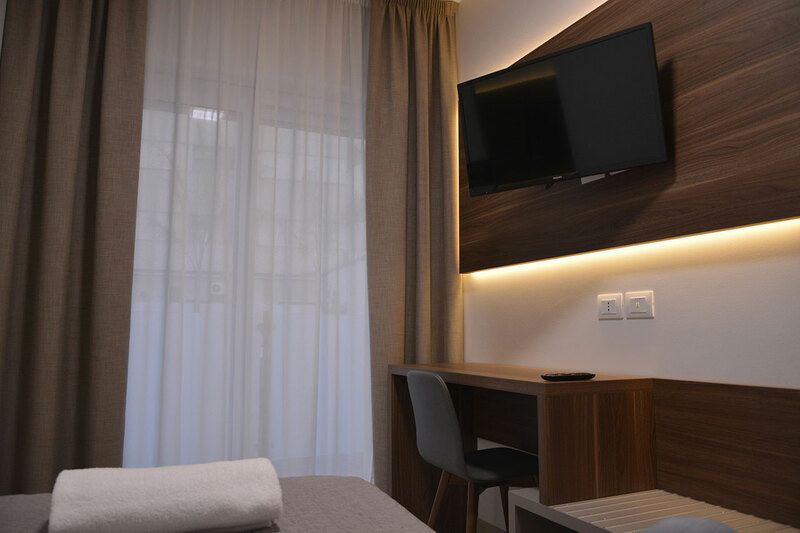 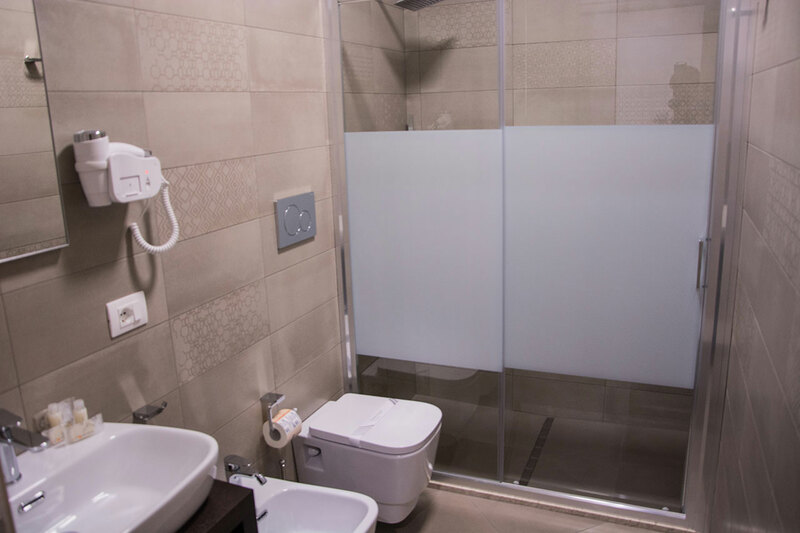 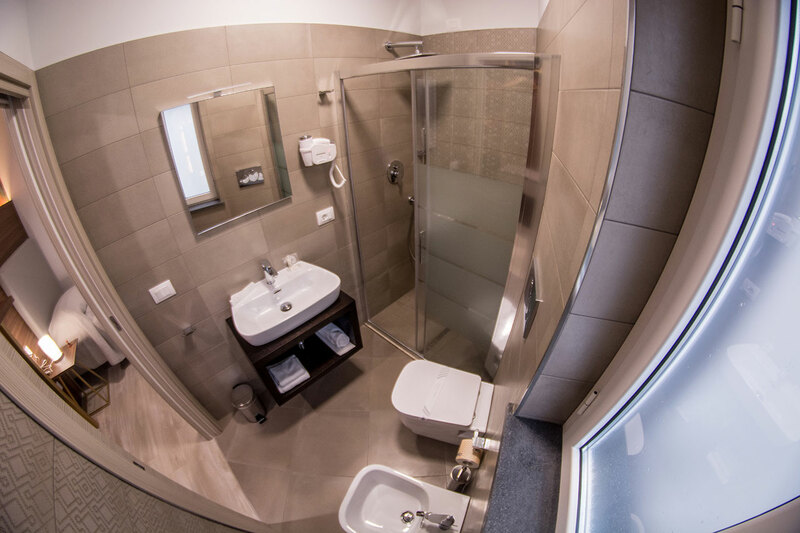 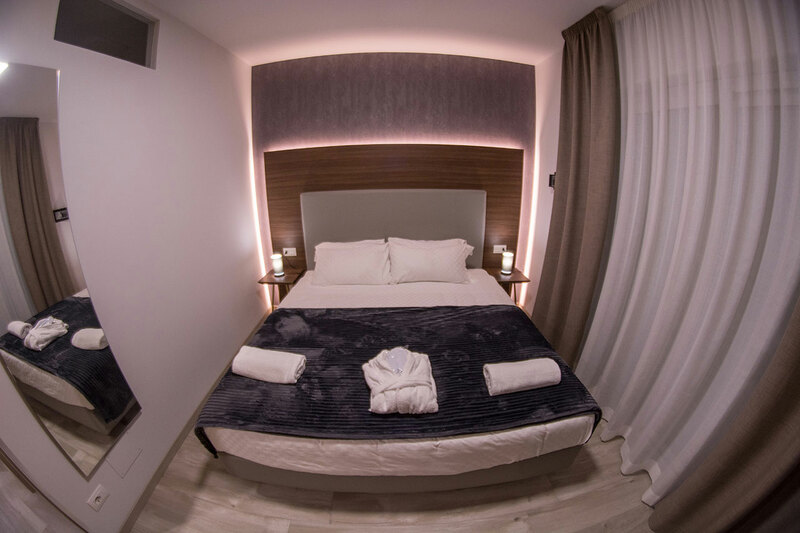 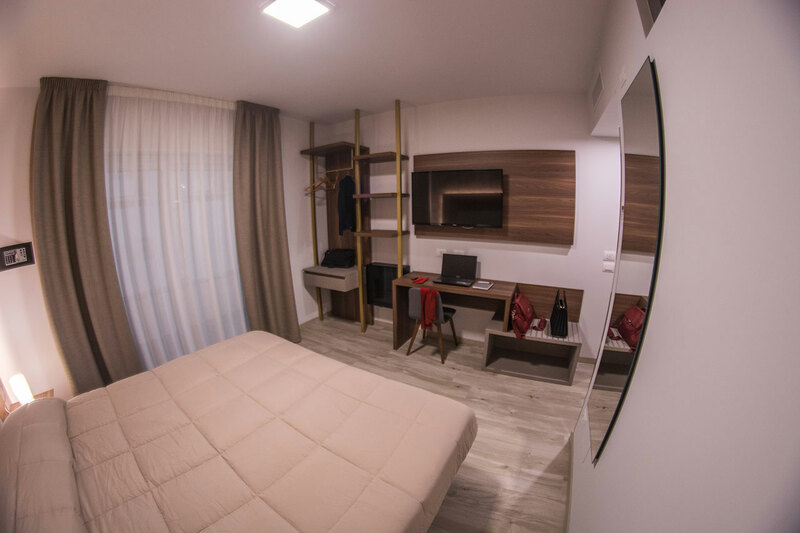 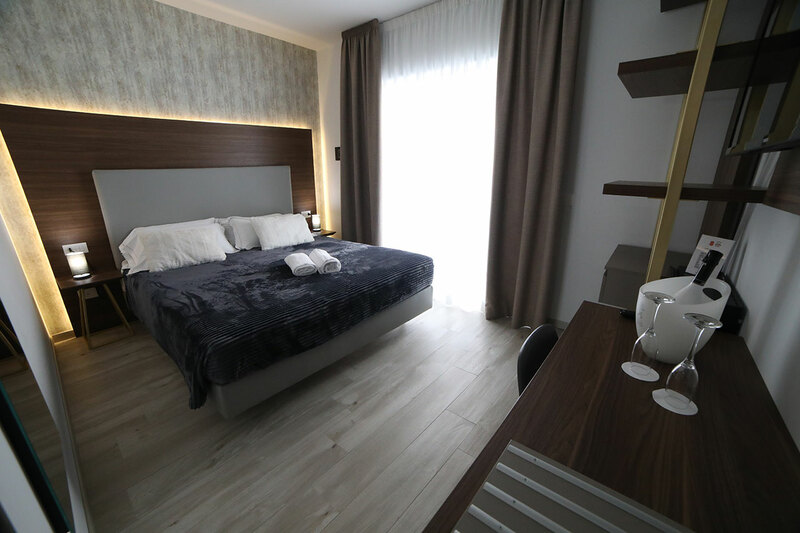 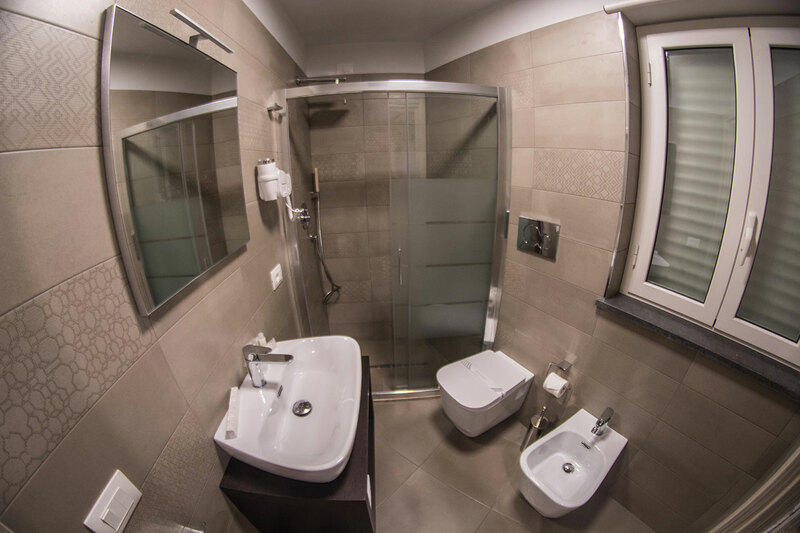 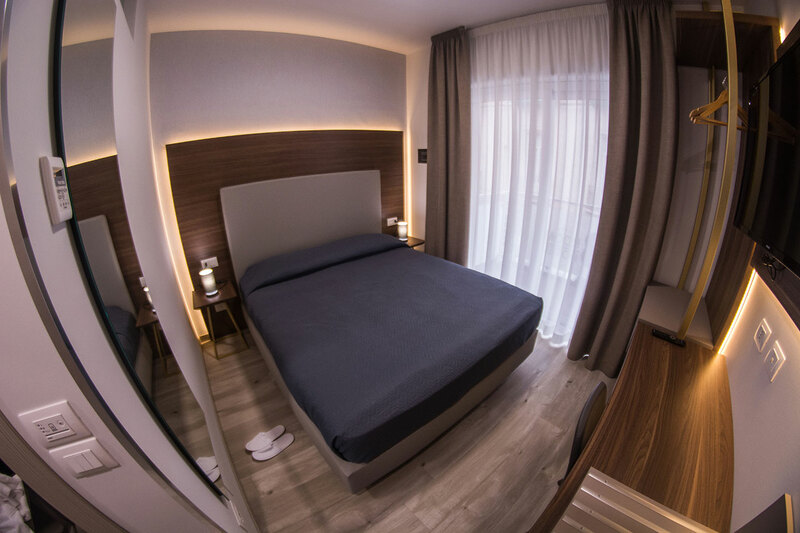 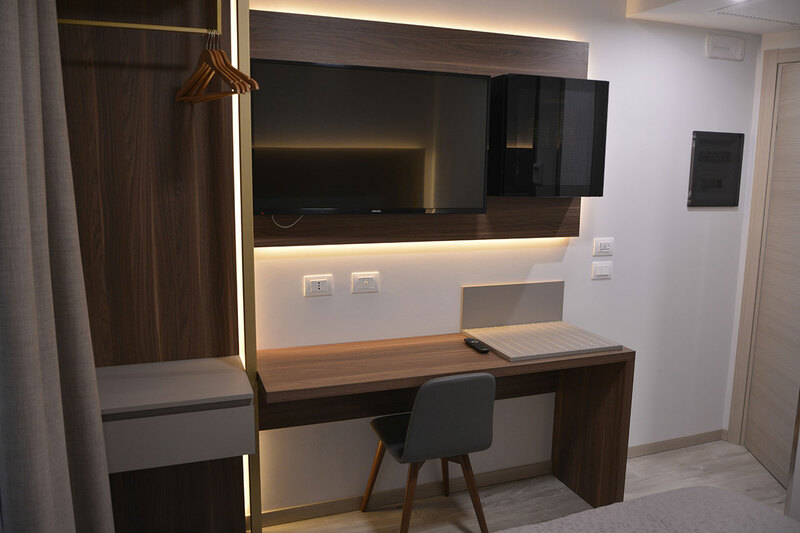 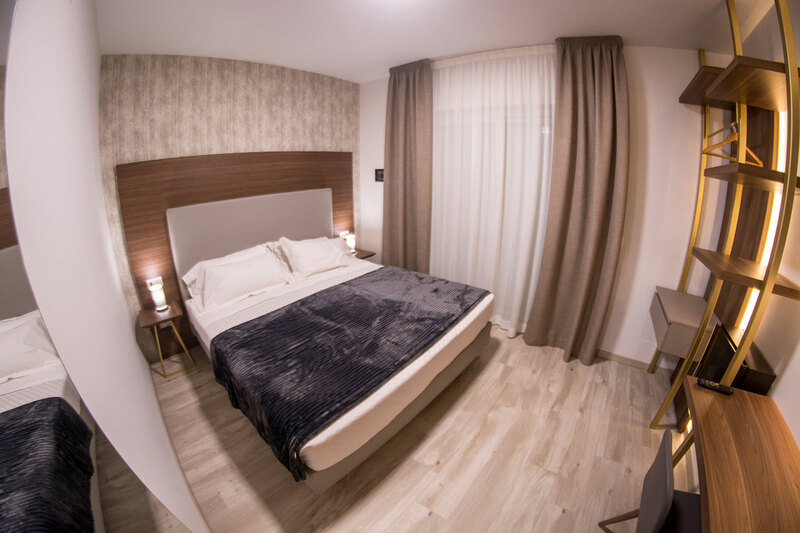 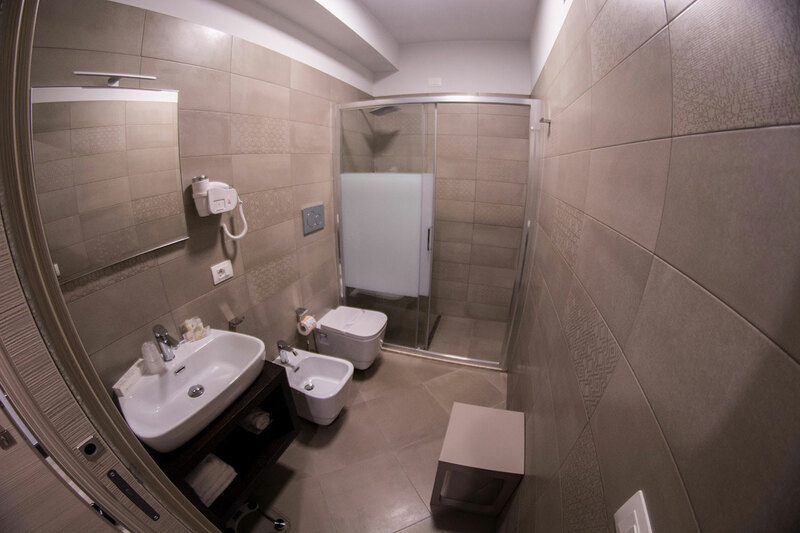 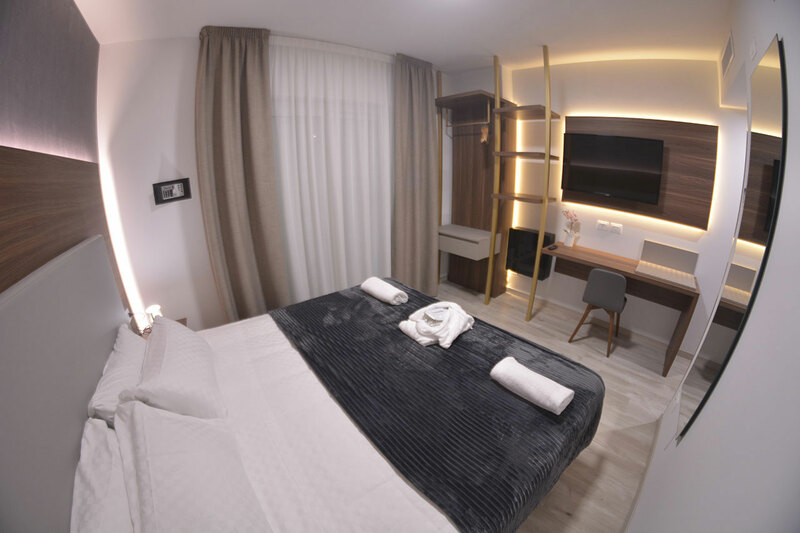 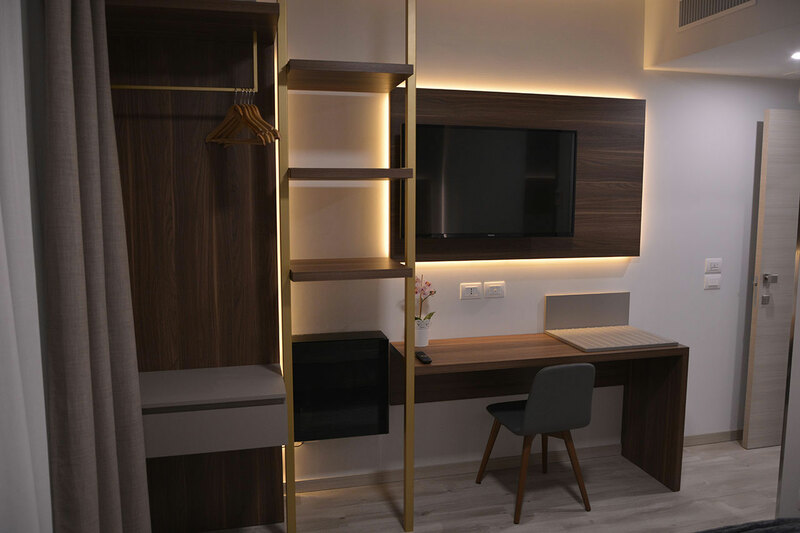 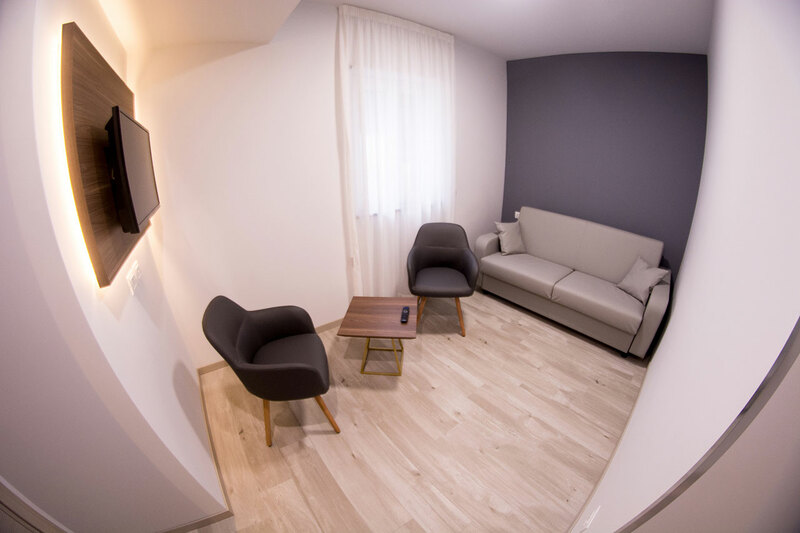 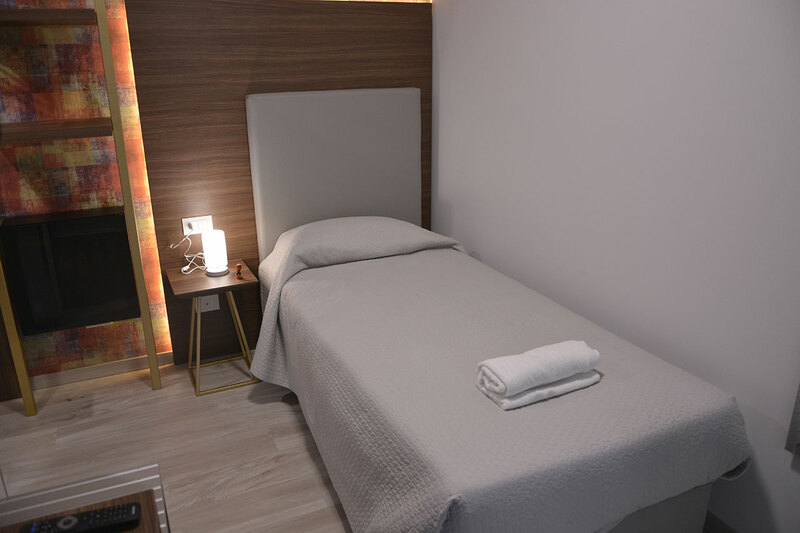 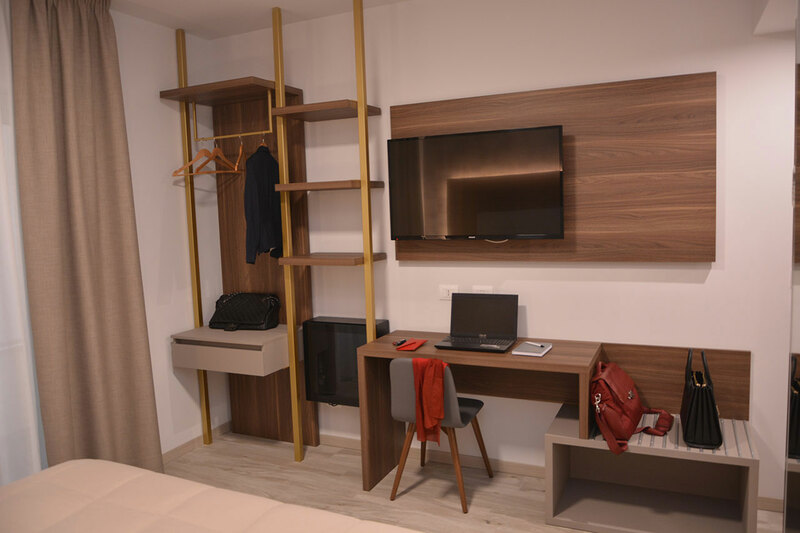 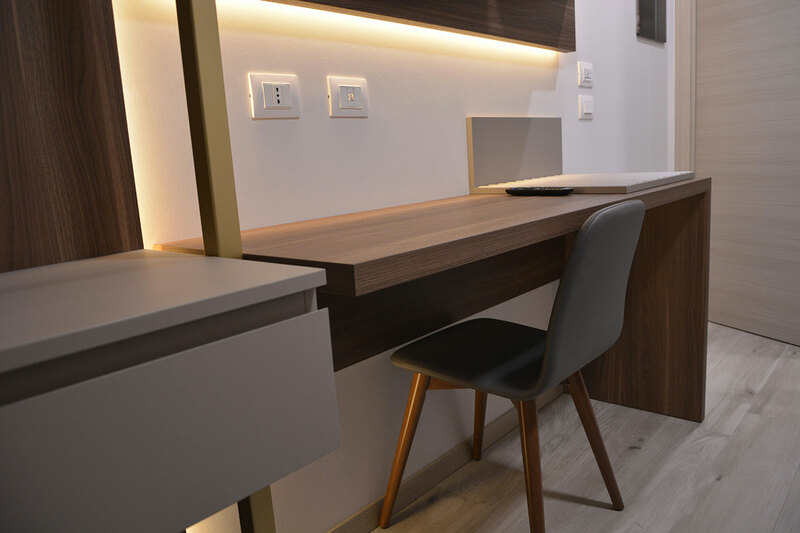 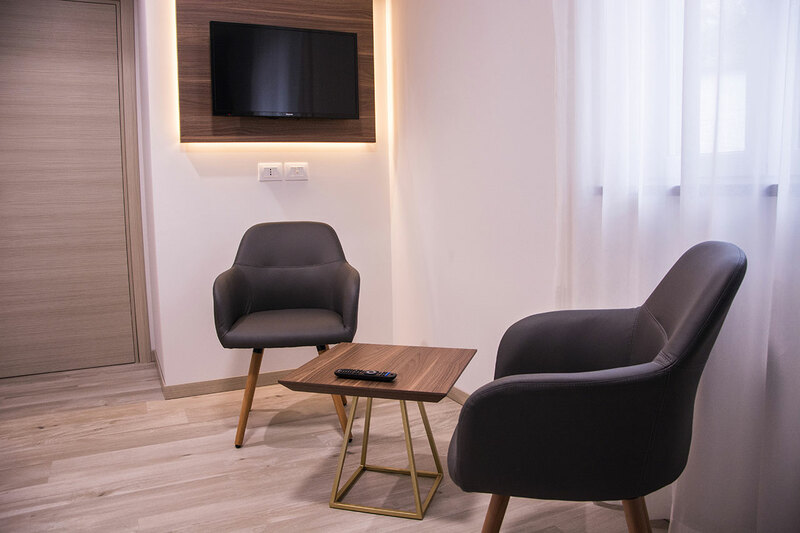 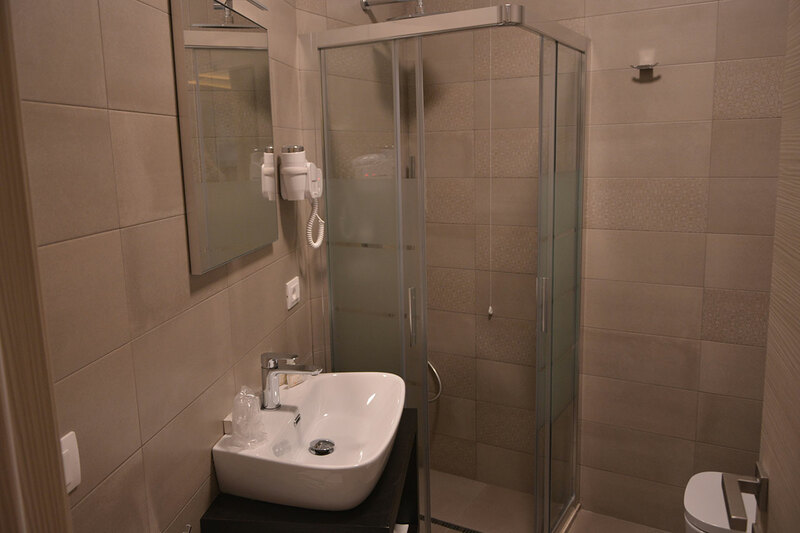 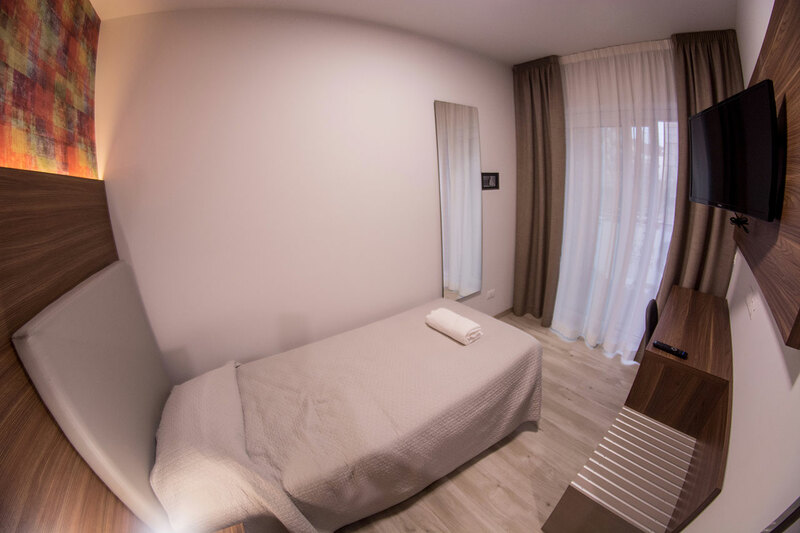 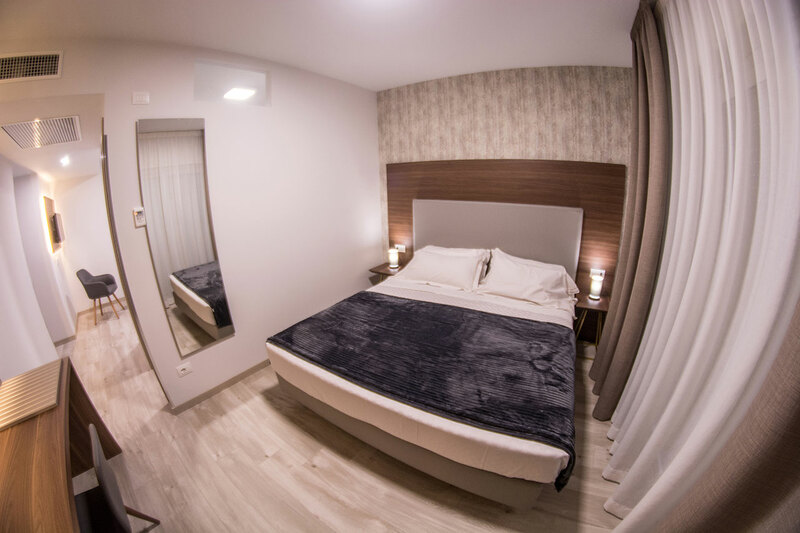 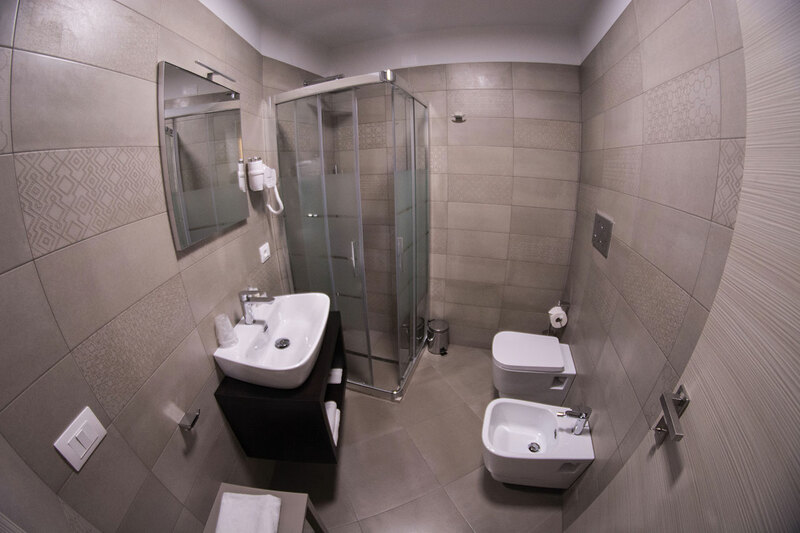 Single Rooms measure 20 sqm, feature single bed, parquet floor, custom-made furniture and fittings, heating, air-conditioning, balcony and En-Suite bathroom with shower. 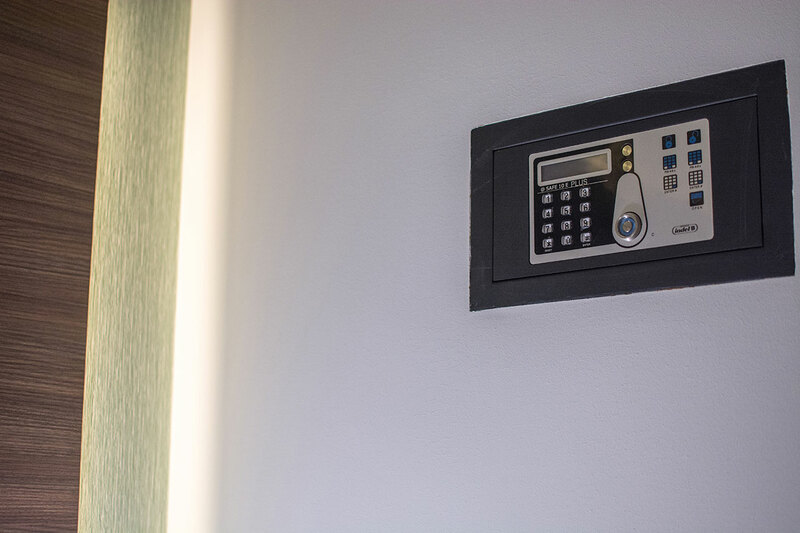 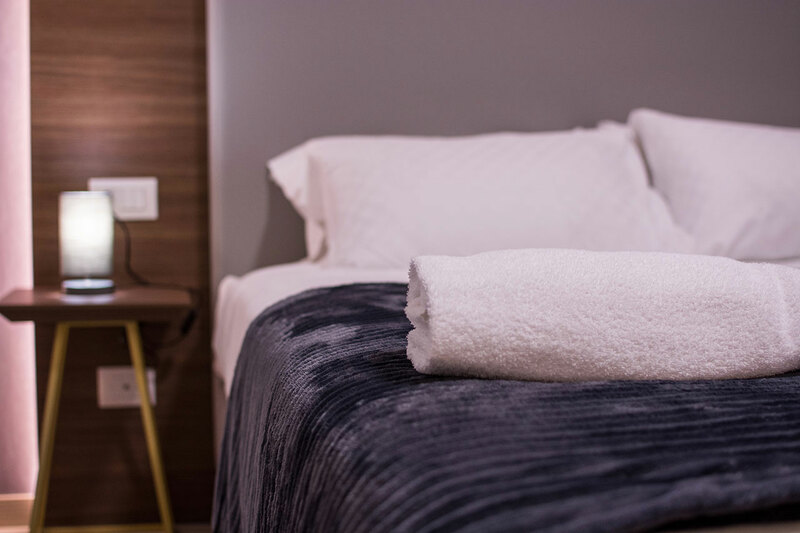 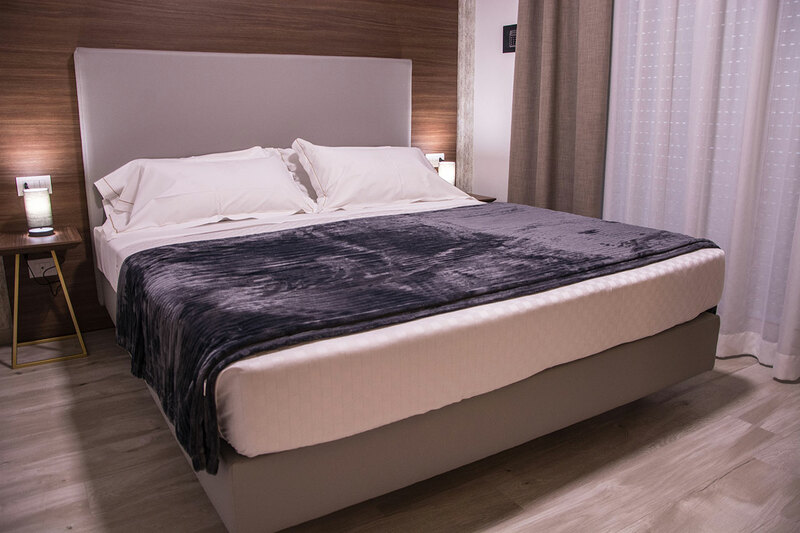 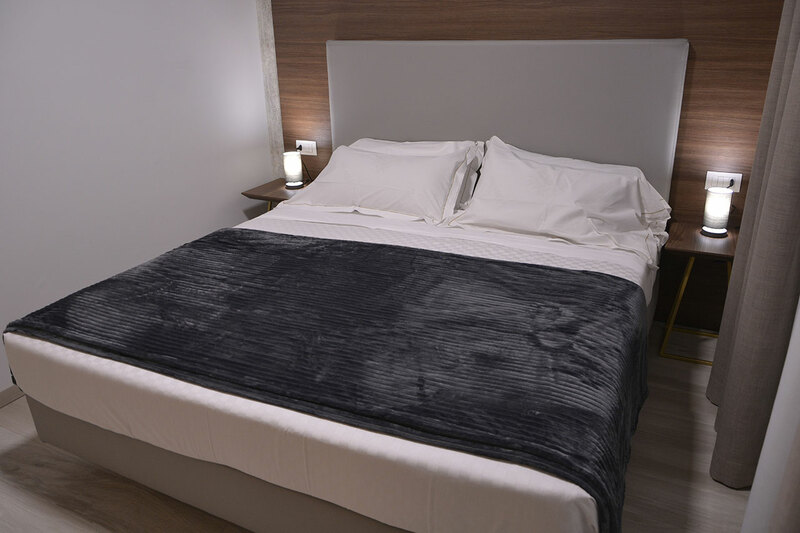 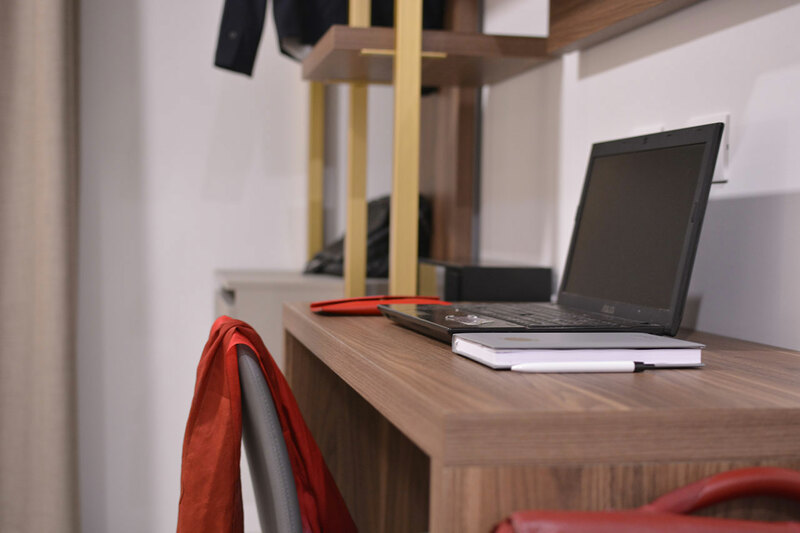 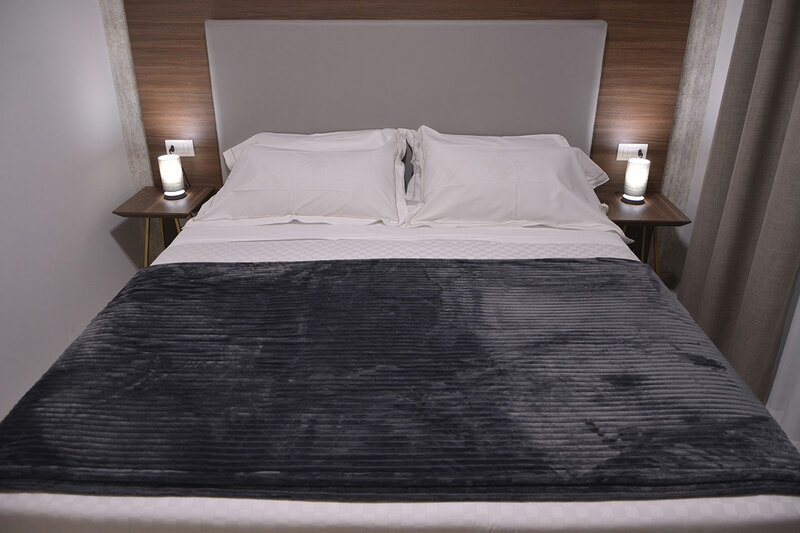 Our Double Rooms measure 28 sqm, feature King Size bed, parquet floor, custom-made furniture and fittings, heating, air-conditioning, balcony and En-Suite bathroom with shower. 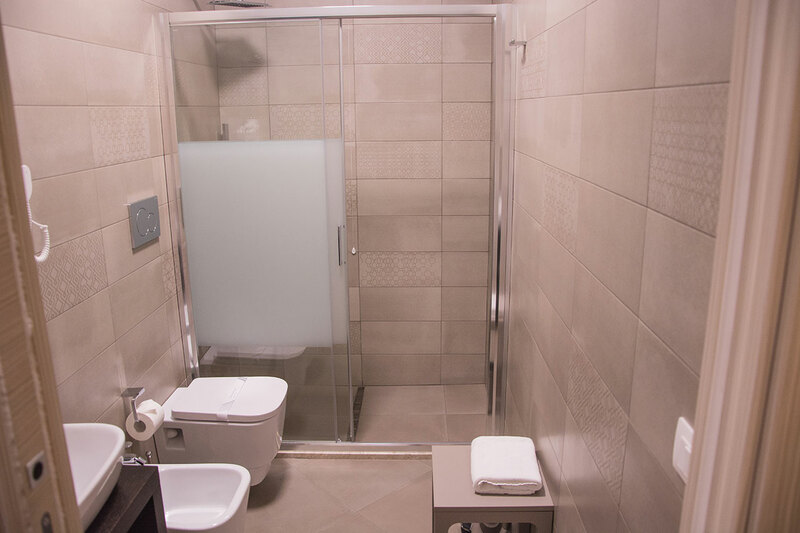 One of these is Accessible Room. 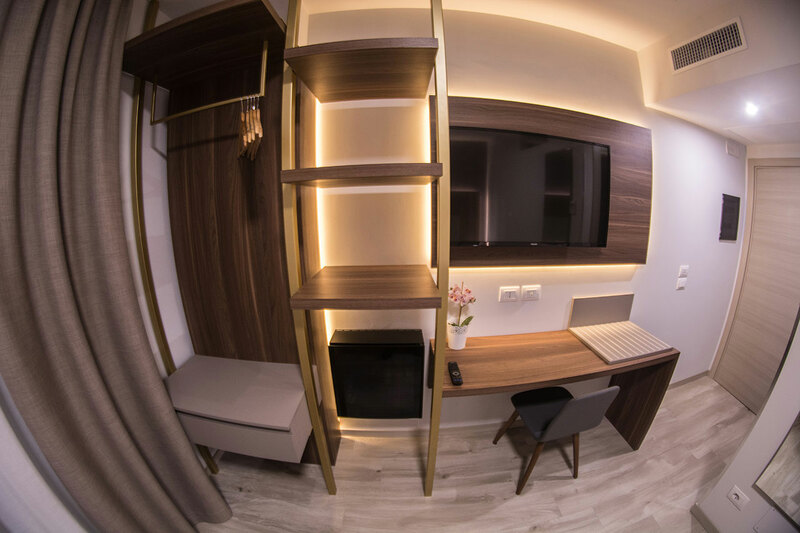 Our Junior Suite measure 40 sqm, is provided with King Size bed, double sofa bed, parquet floor, custom-made furniture and fittings, heating, air-conditioning, balcony and En-Suite bathroom with shower.